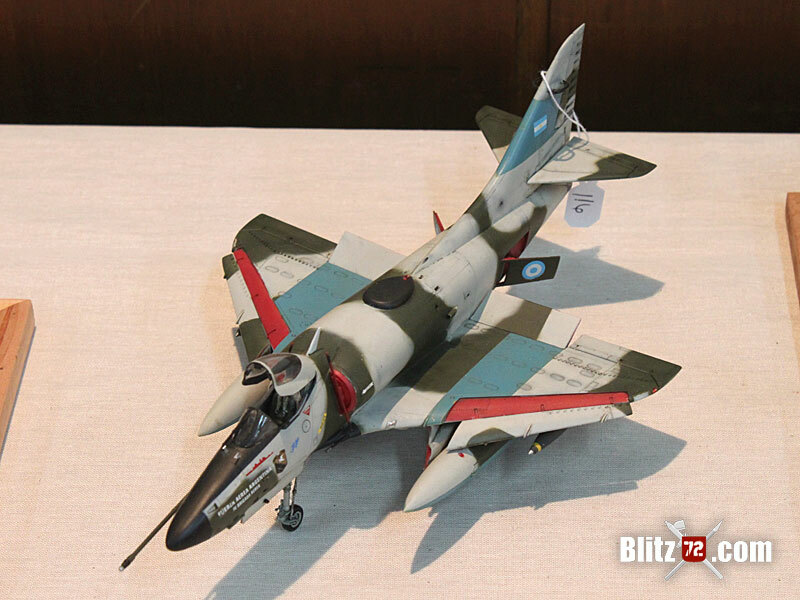 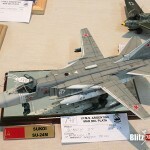 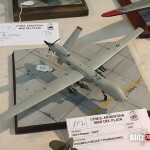 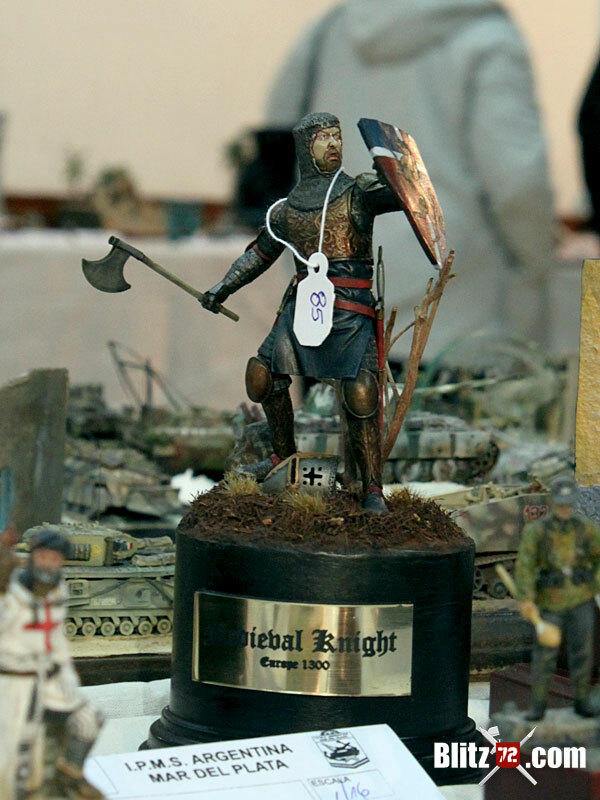 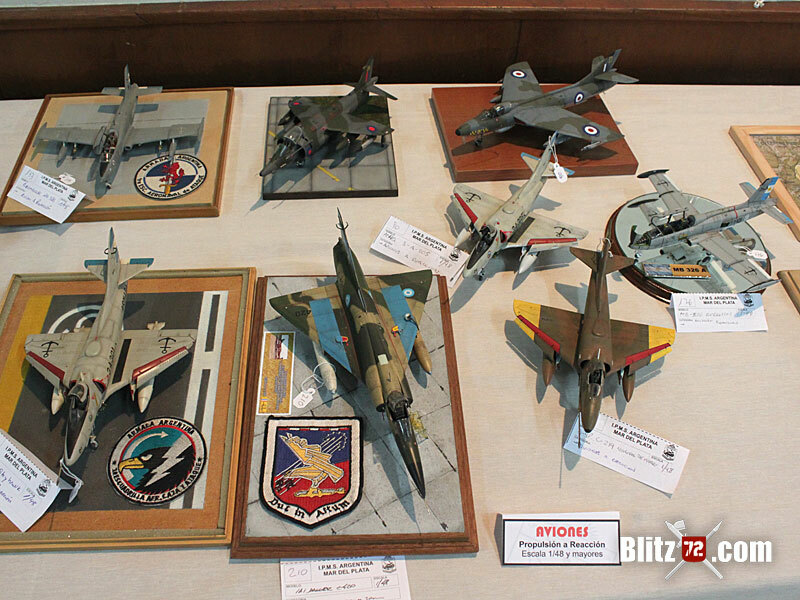 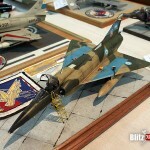 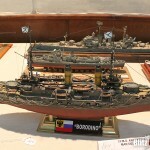 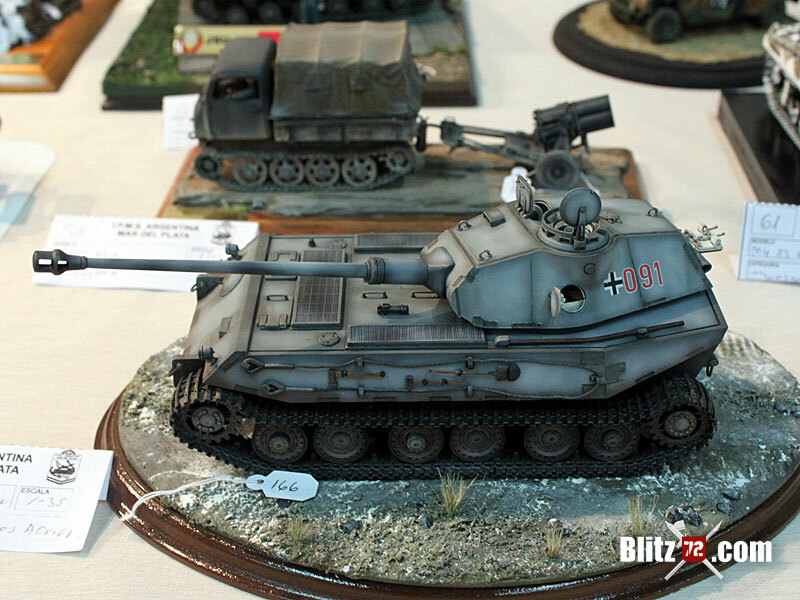 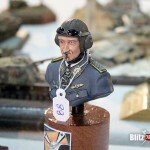 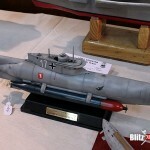 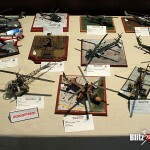 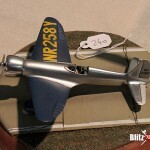 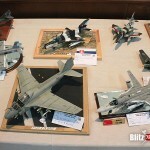 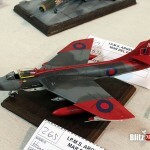 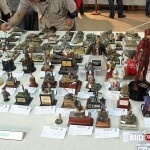 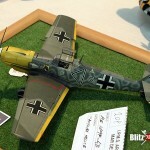 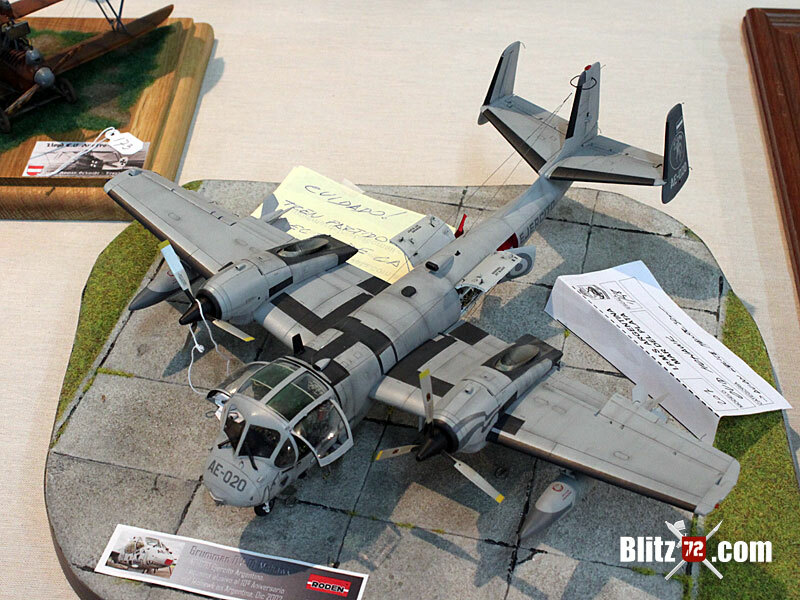 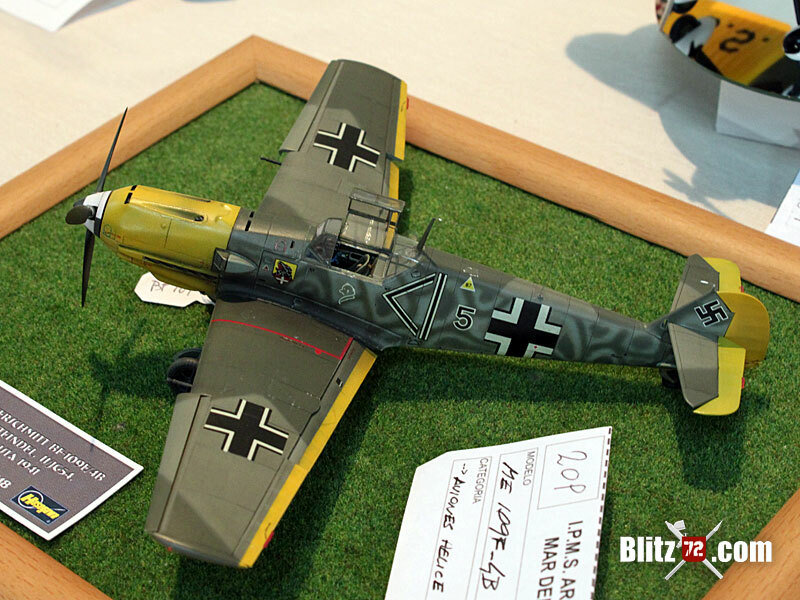 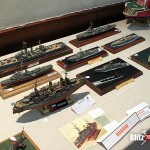 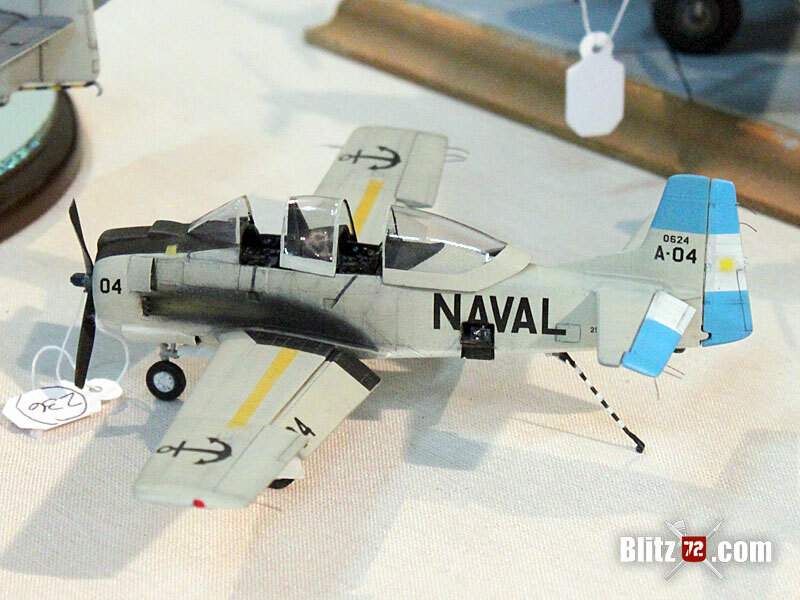 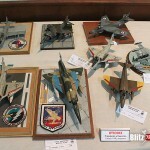 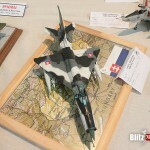 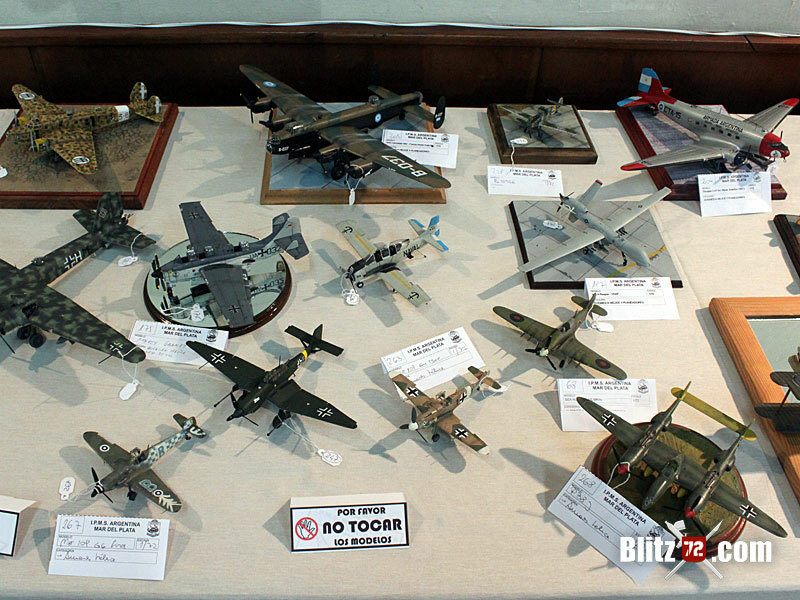 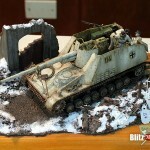 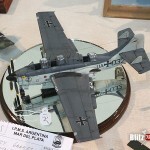 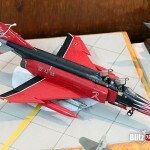 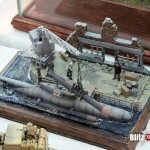 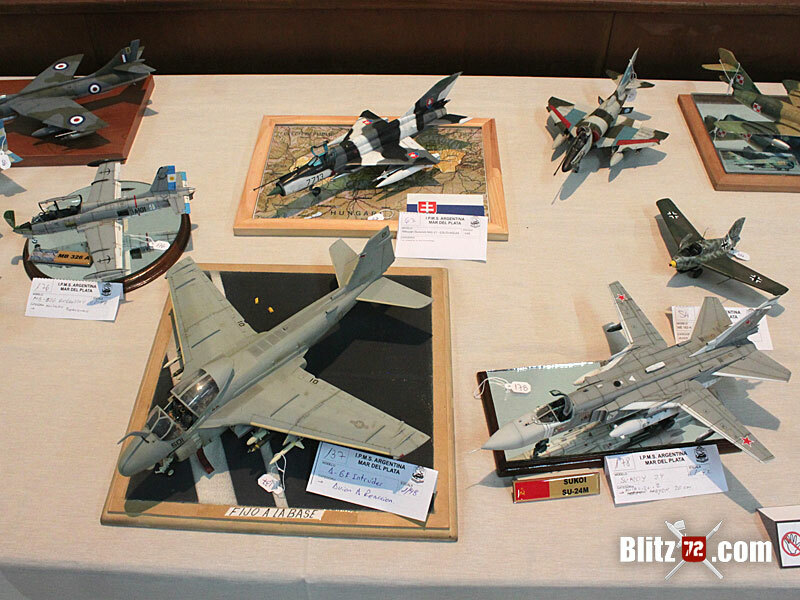 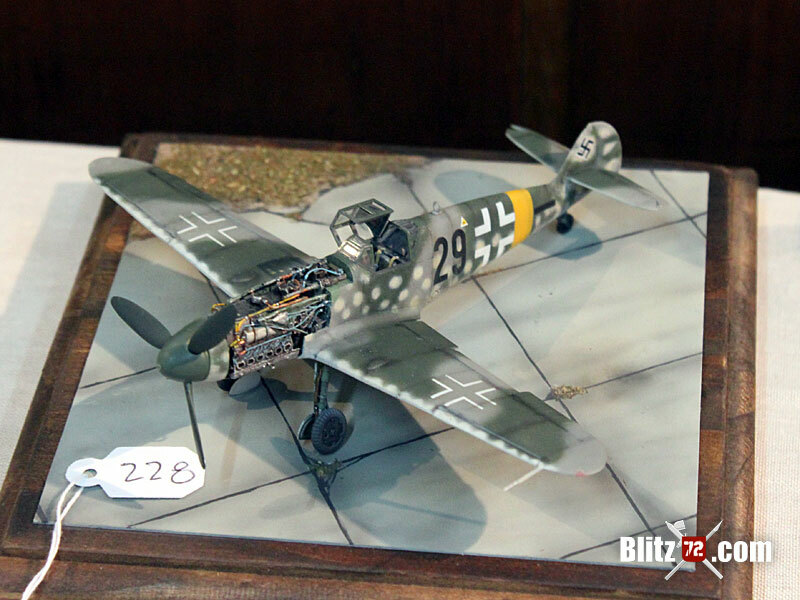 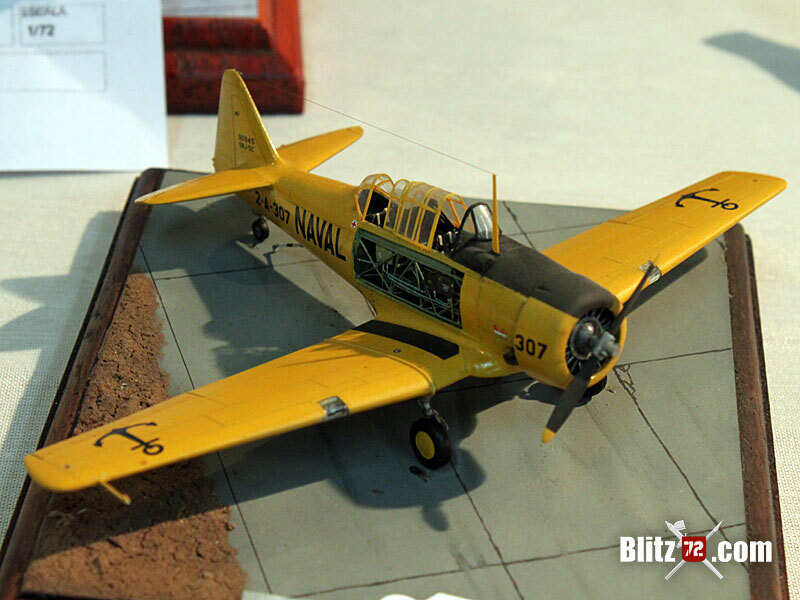 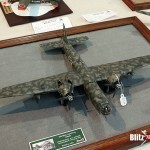 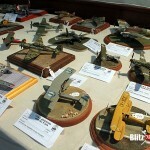 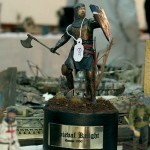 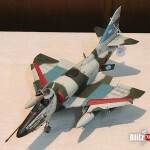 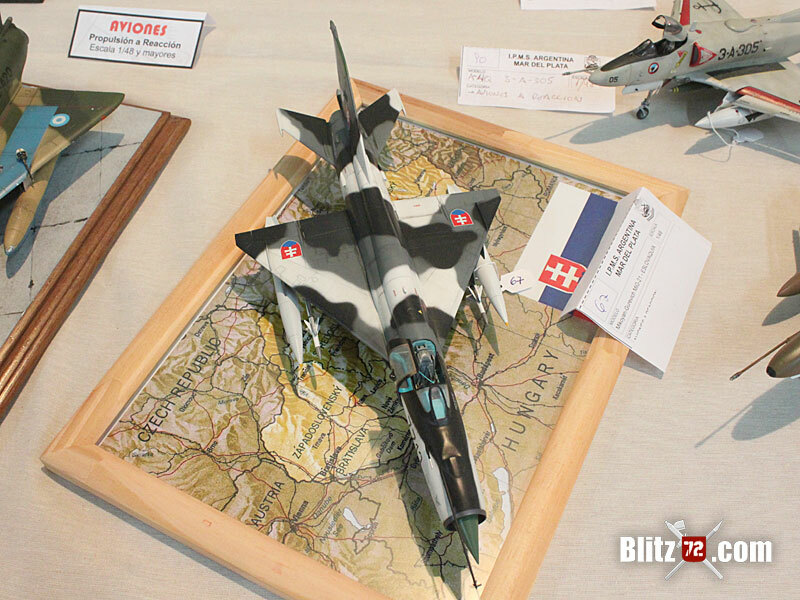 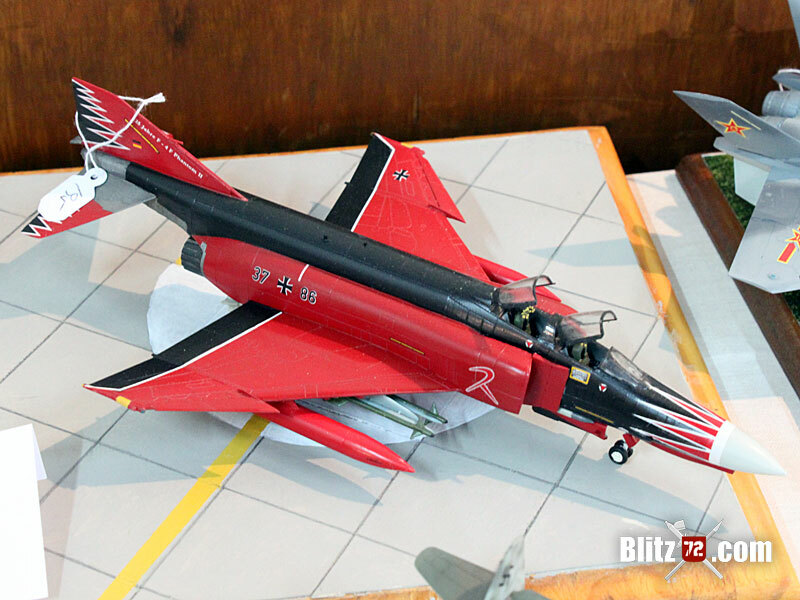 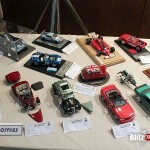 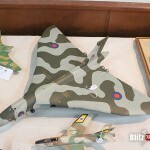 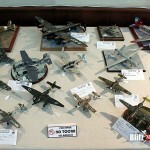 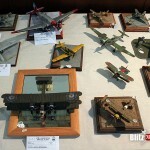 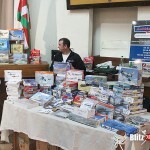 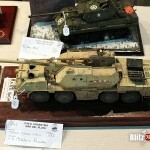 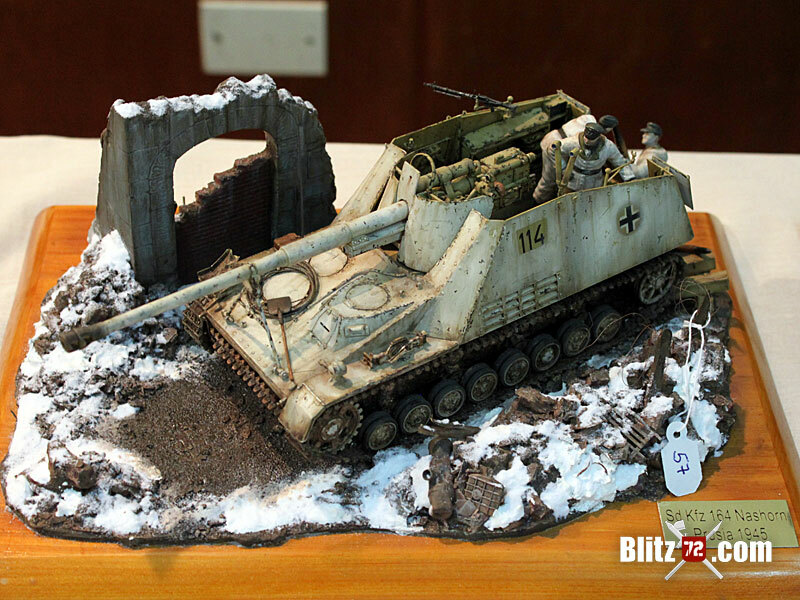 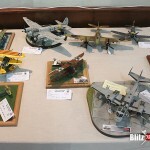 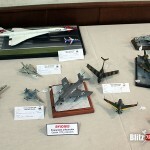 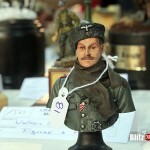 What can possibly top a weekend of Scale Modeling, great ambience and awesome deals at the vendor tables?. 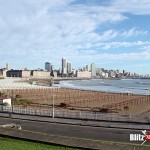 Let me tell you, all of that plus terrific seafood and a wonderful beach city by the Atlantic! 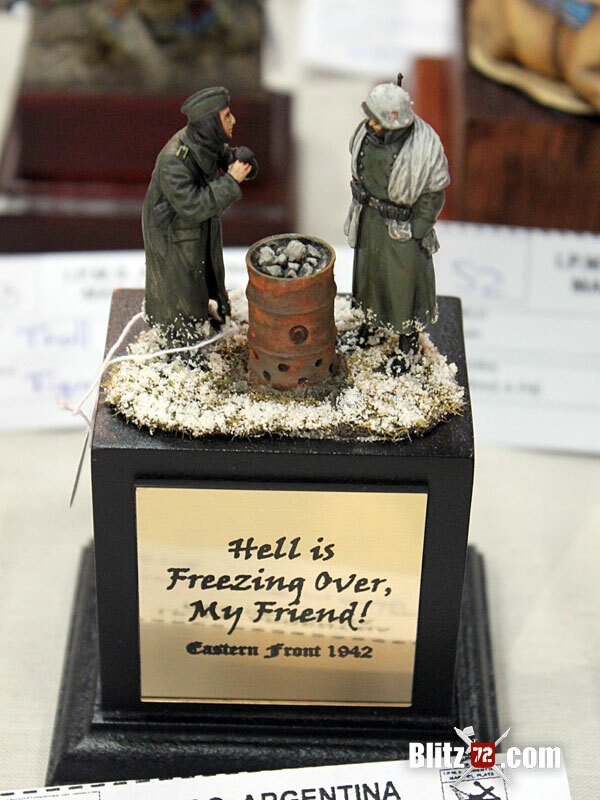 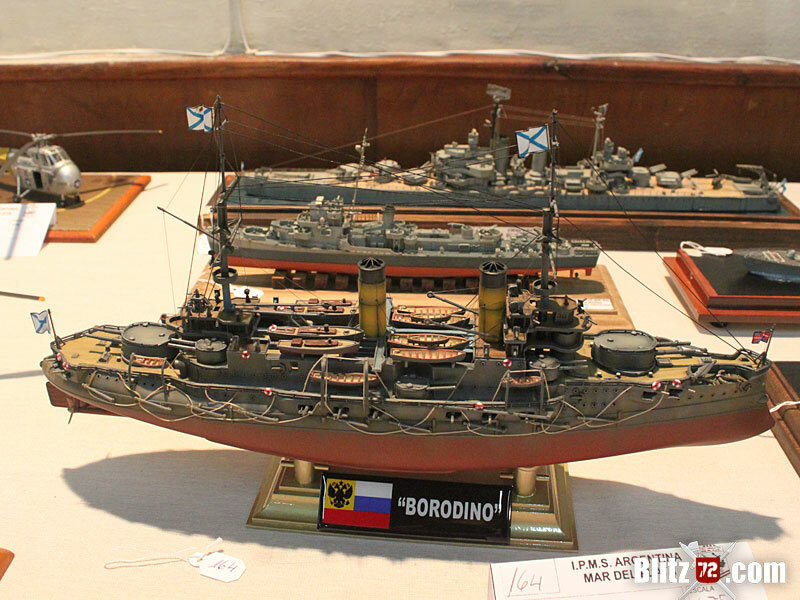 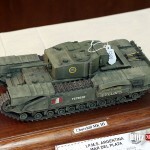 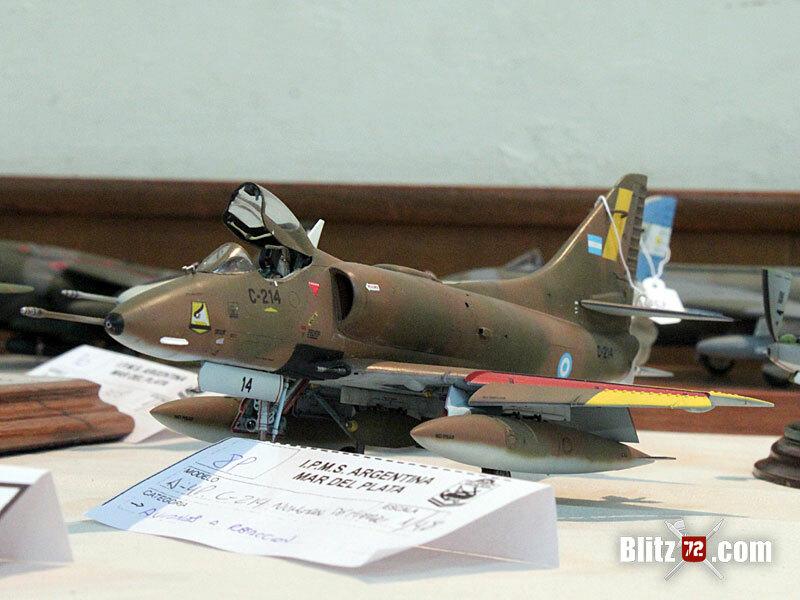 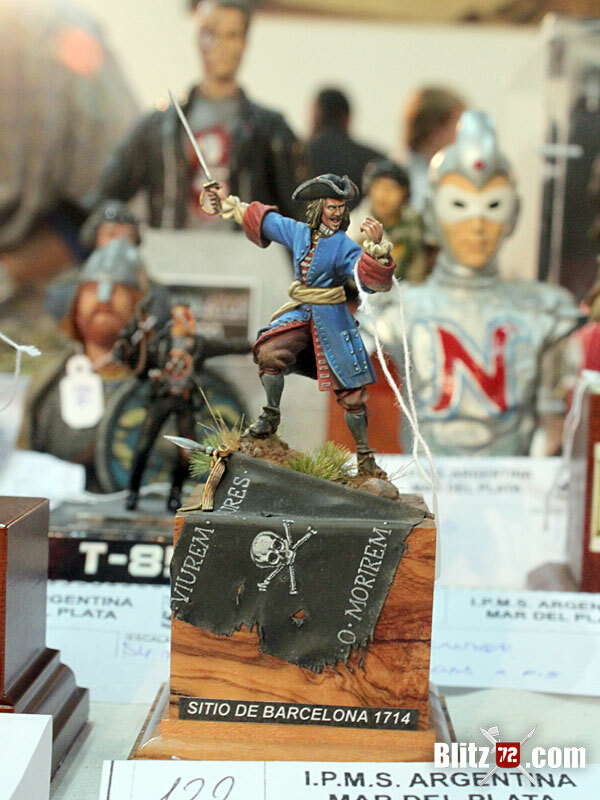 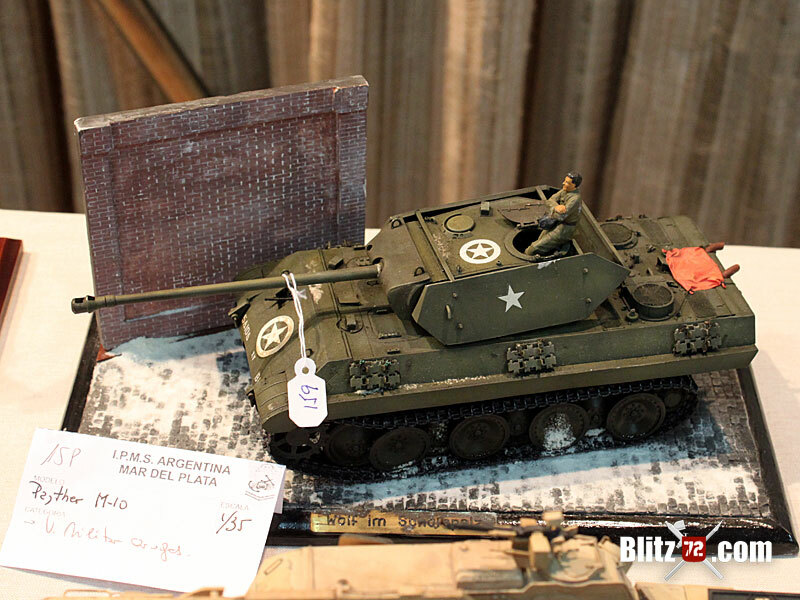 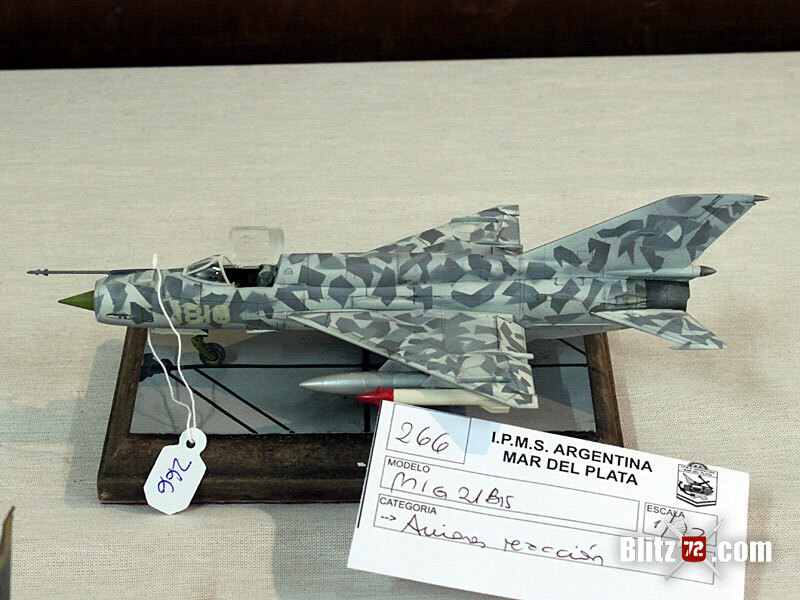 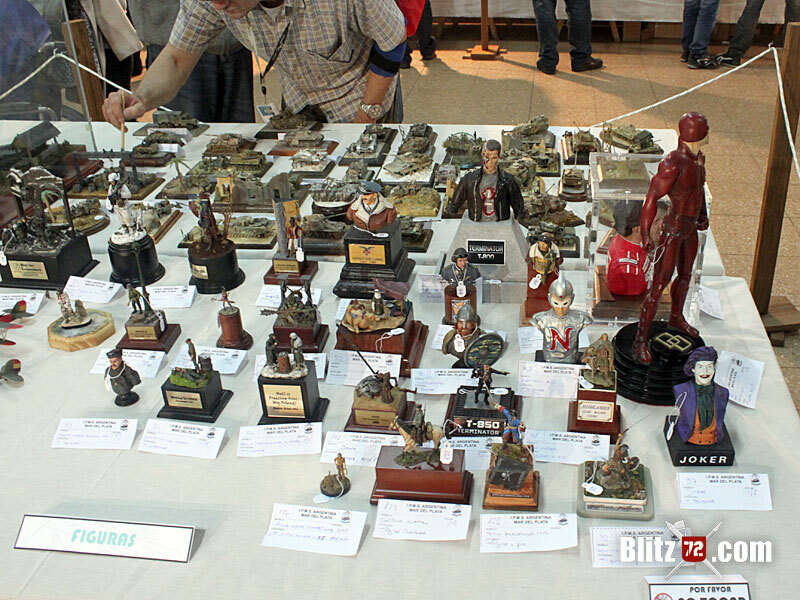 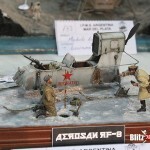 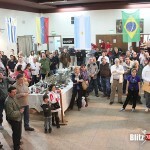 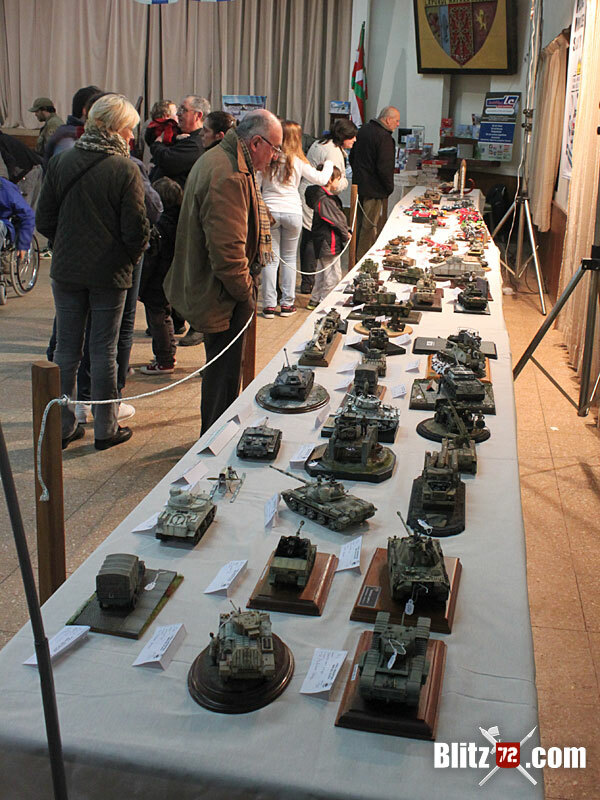 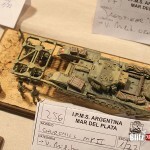 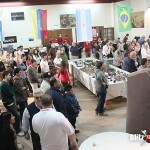 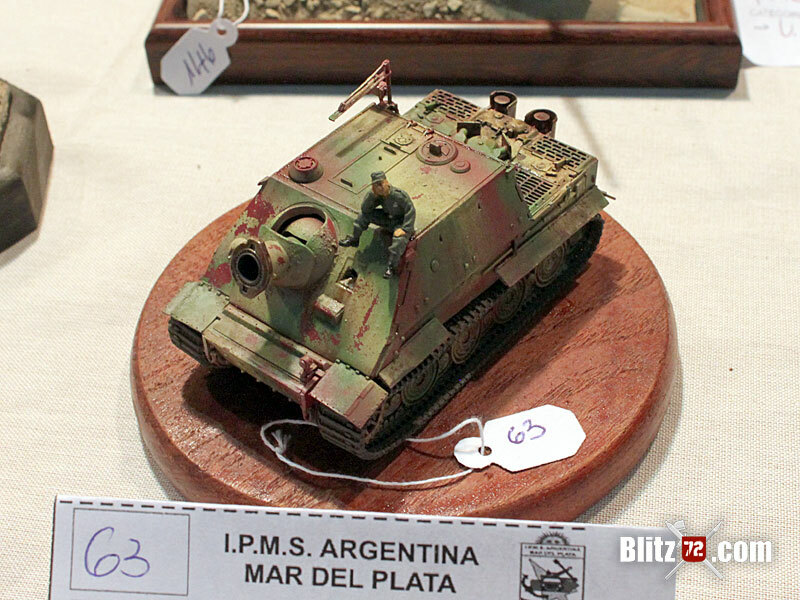 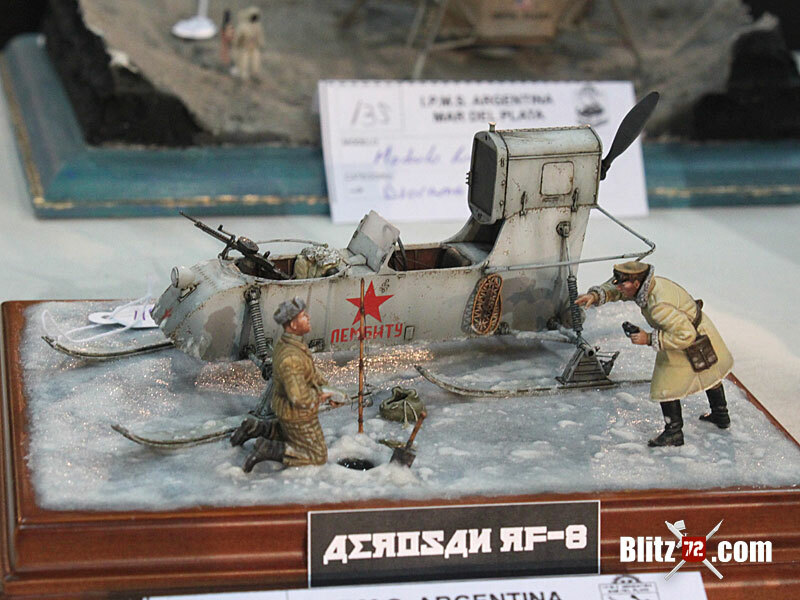 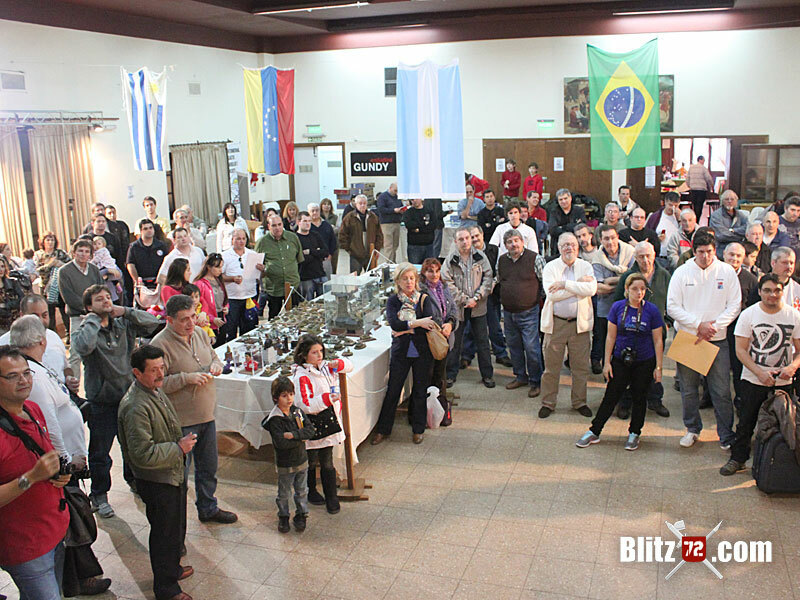 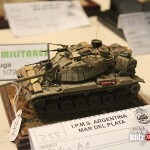 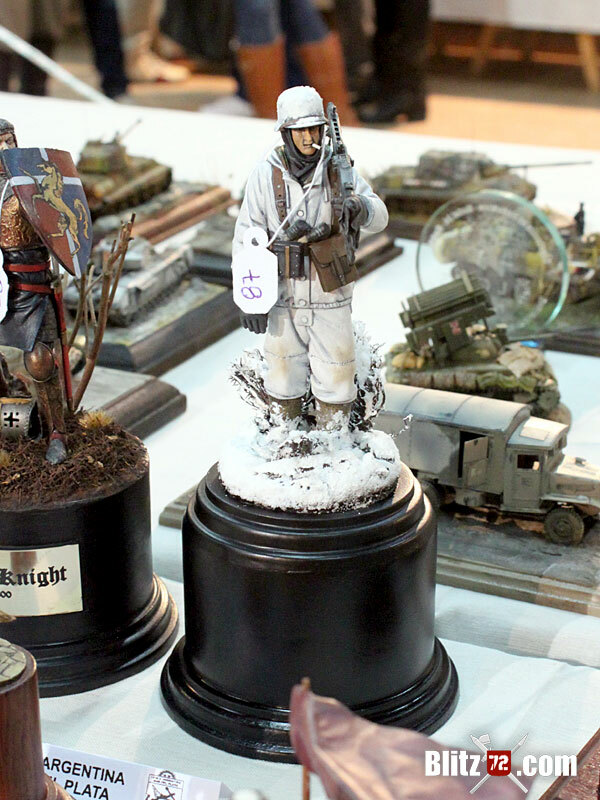 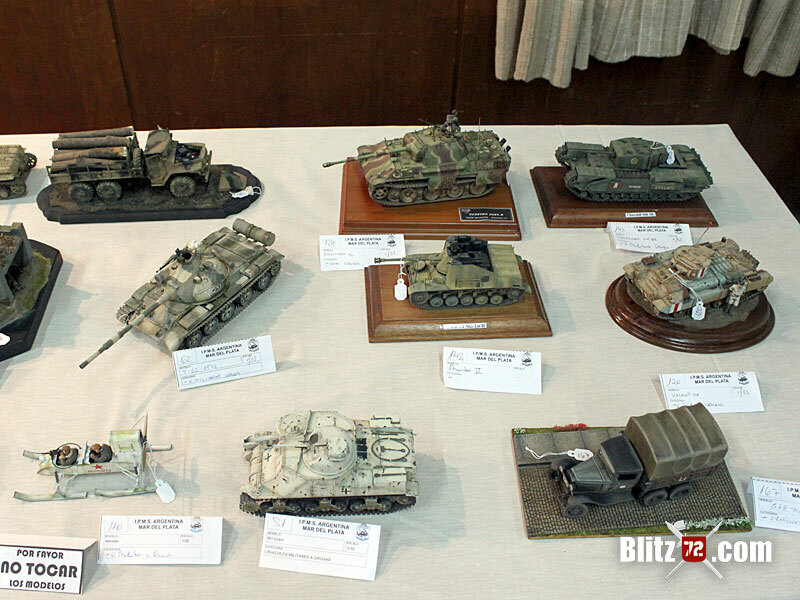 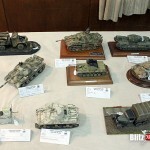 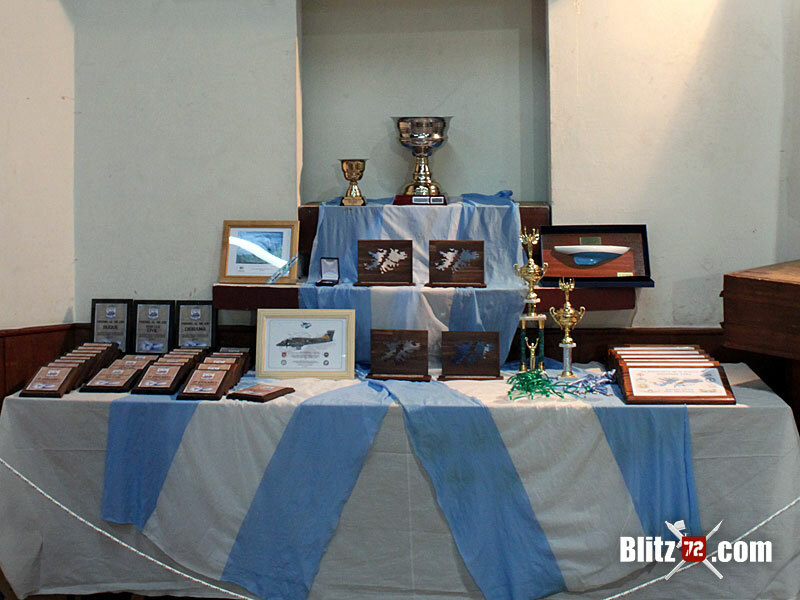 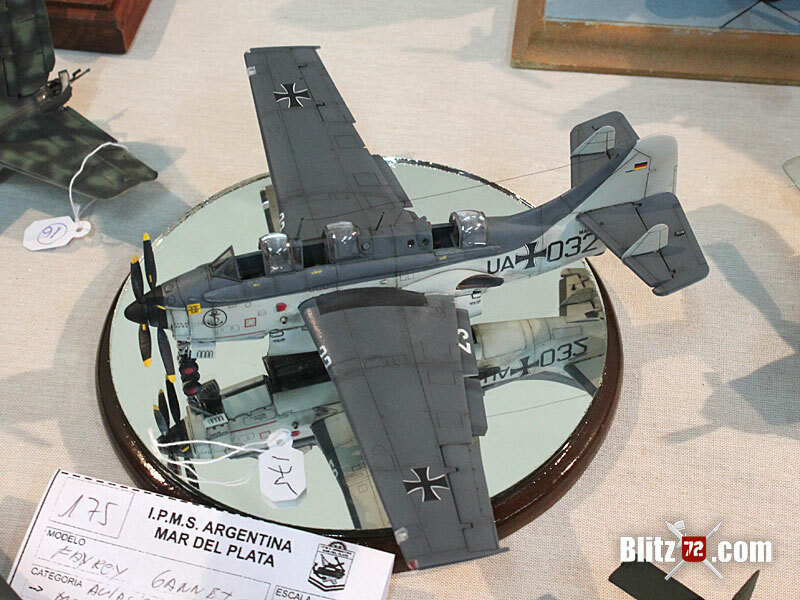 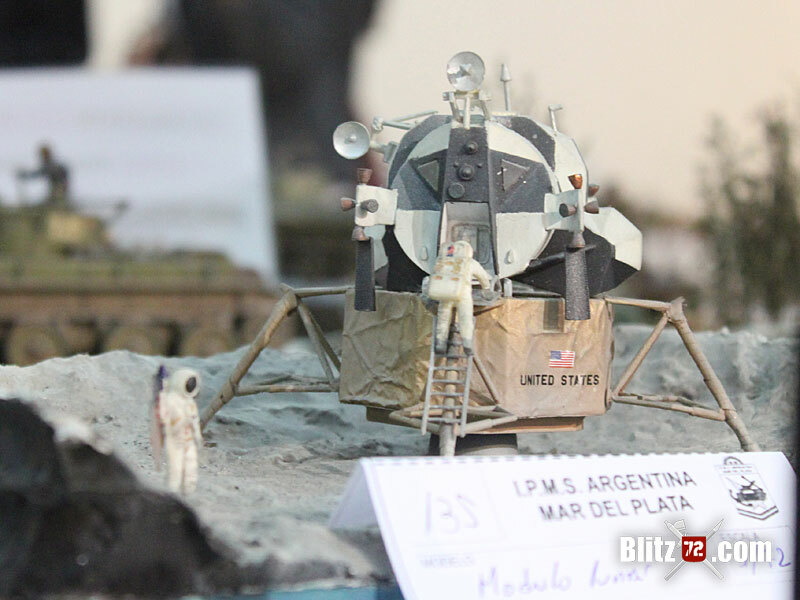 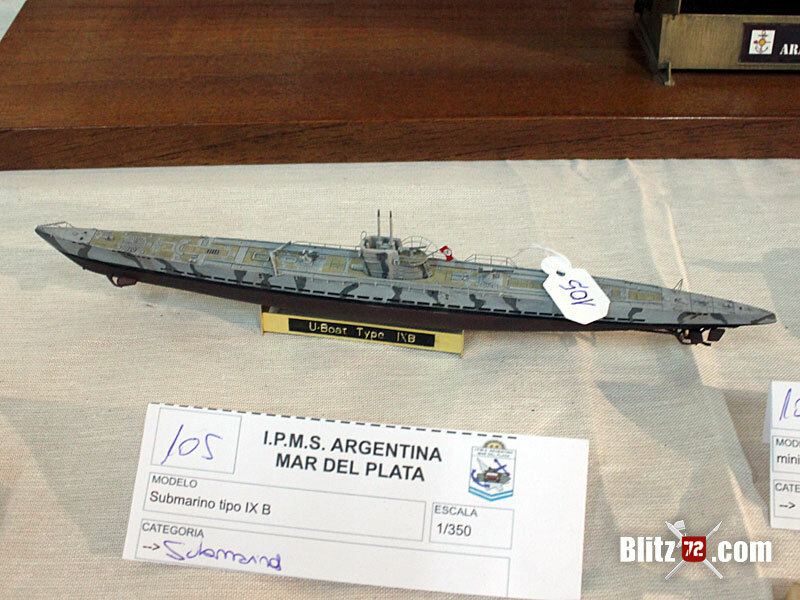 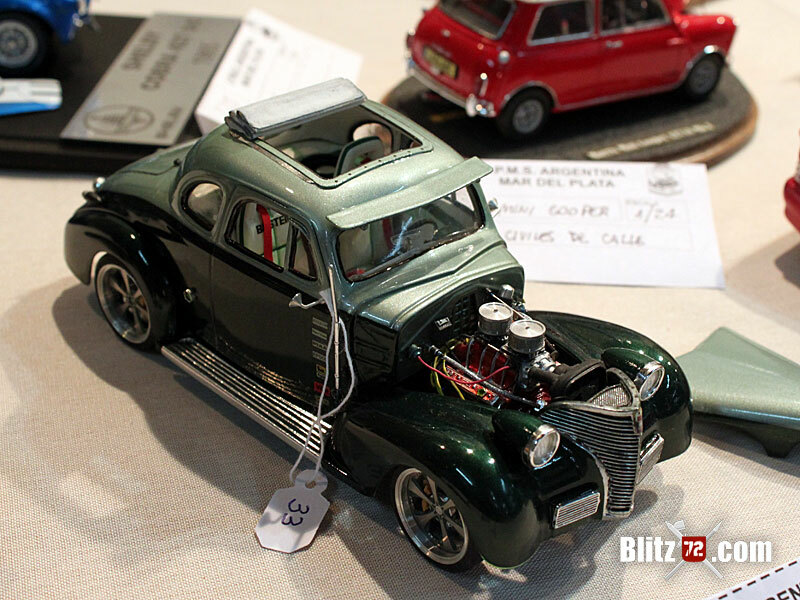 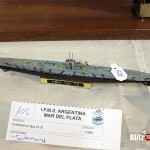 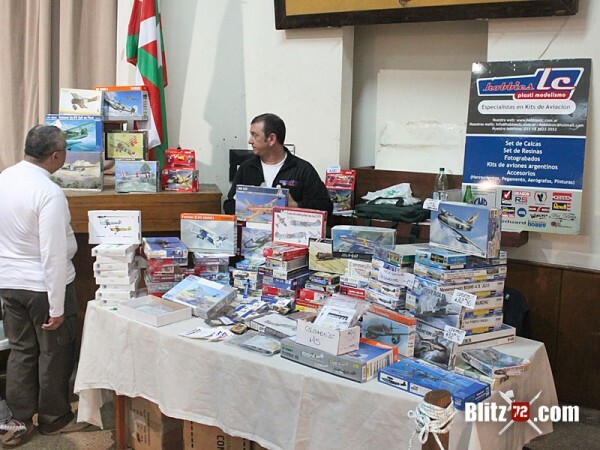 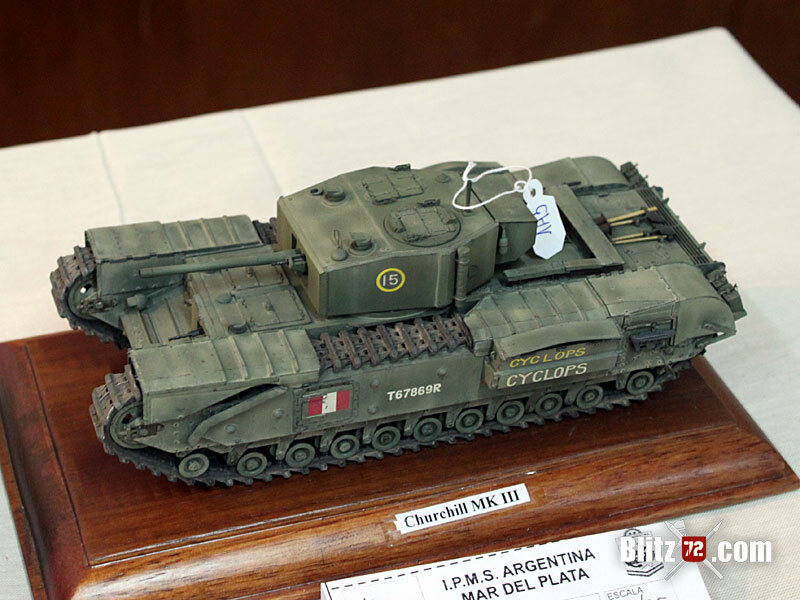 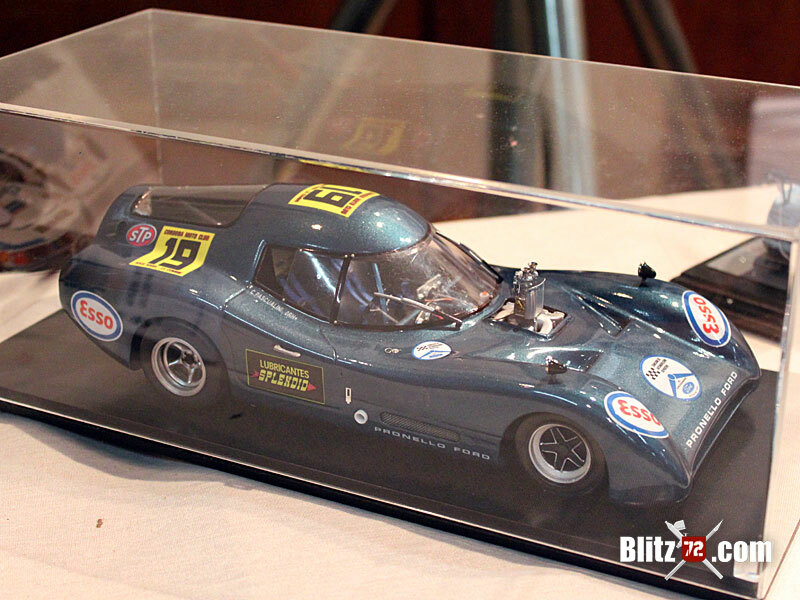 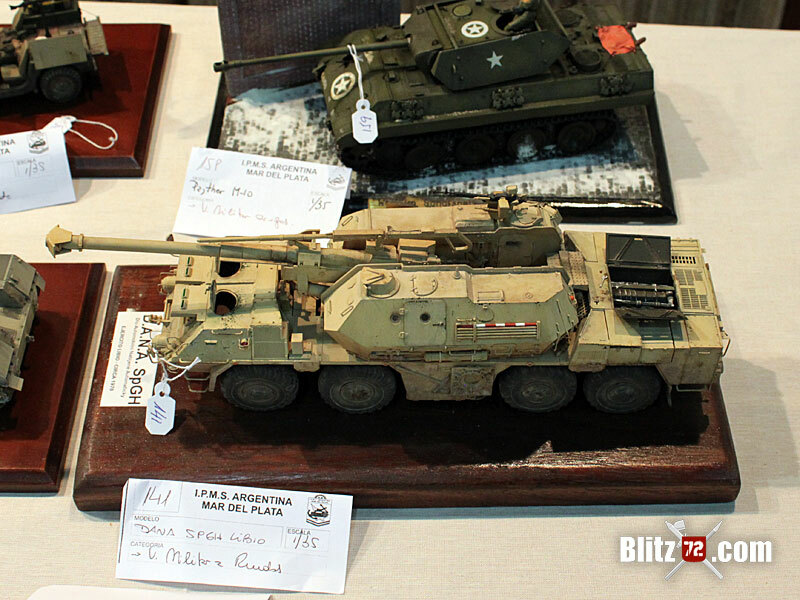 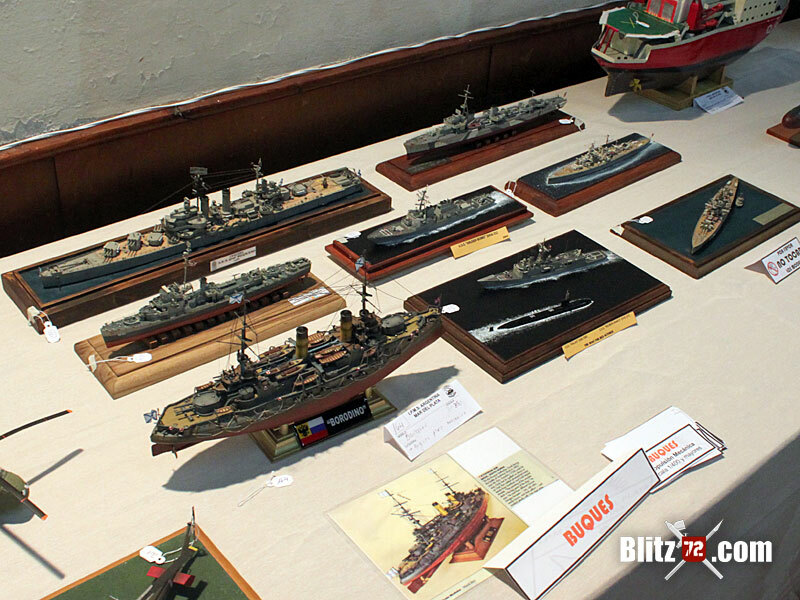 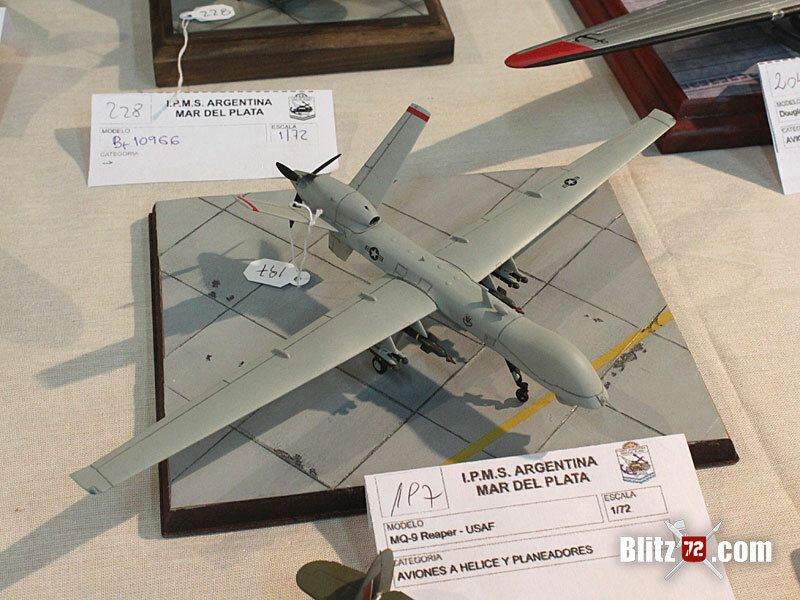 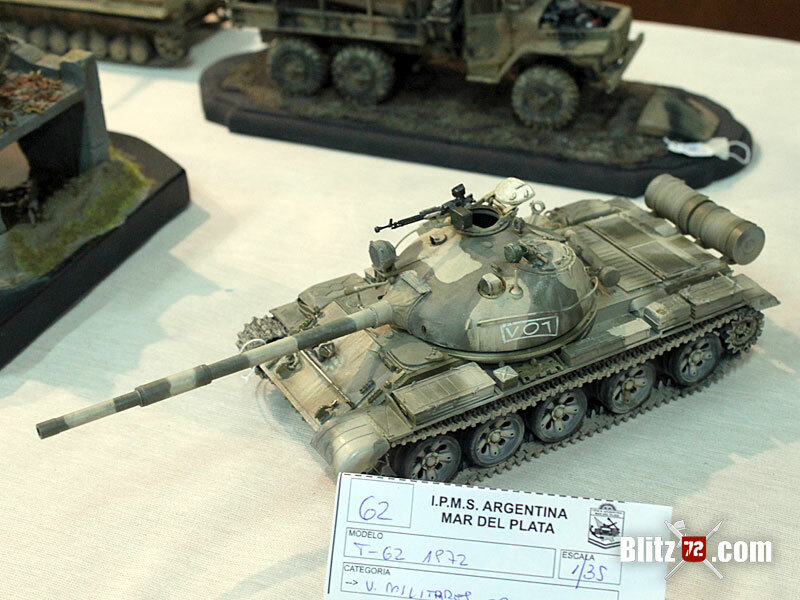 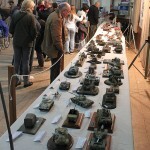 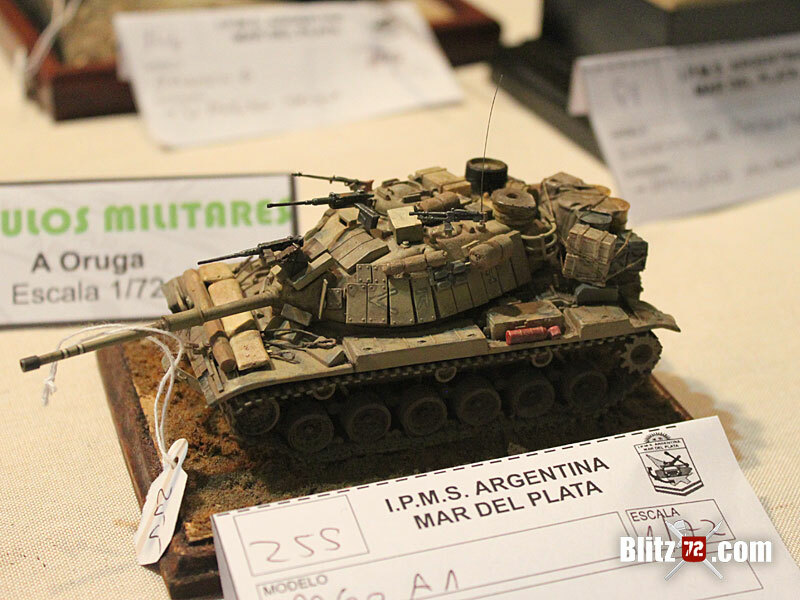 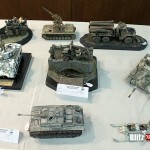 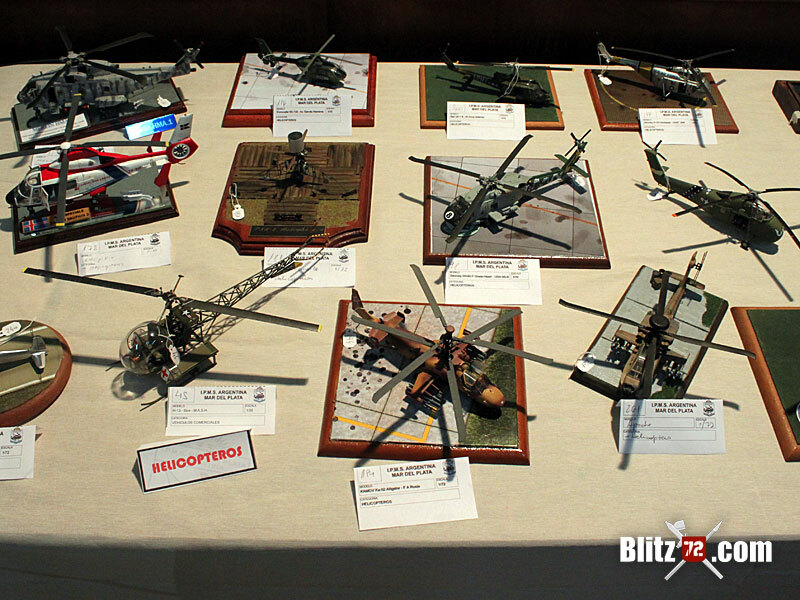 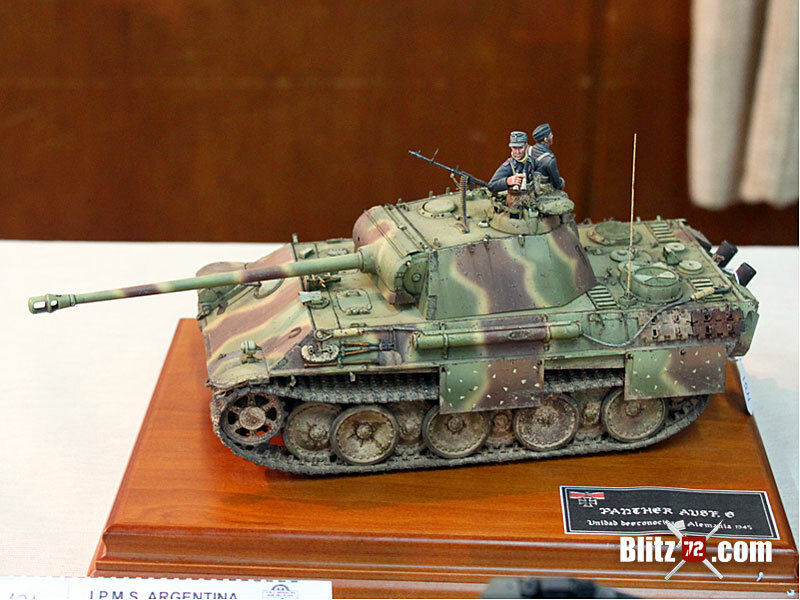 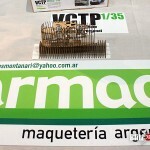 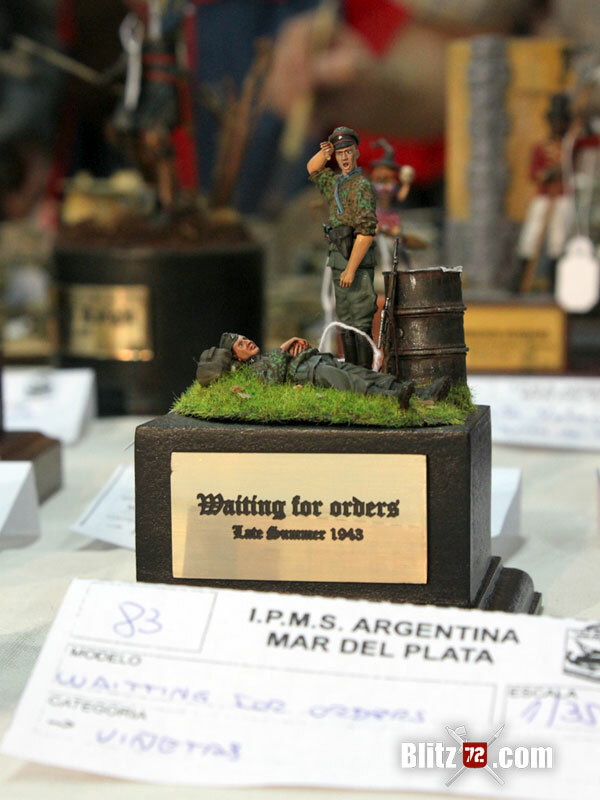 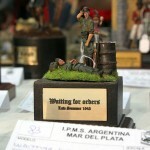 That is pretty much what the last contest organized by the IPMS Argentina, Mar del Plata chapter last August 18th to 19th was about. 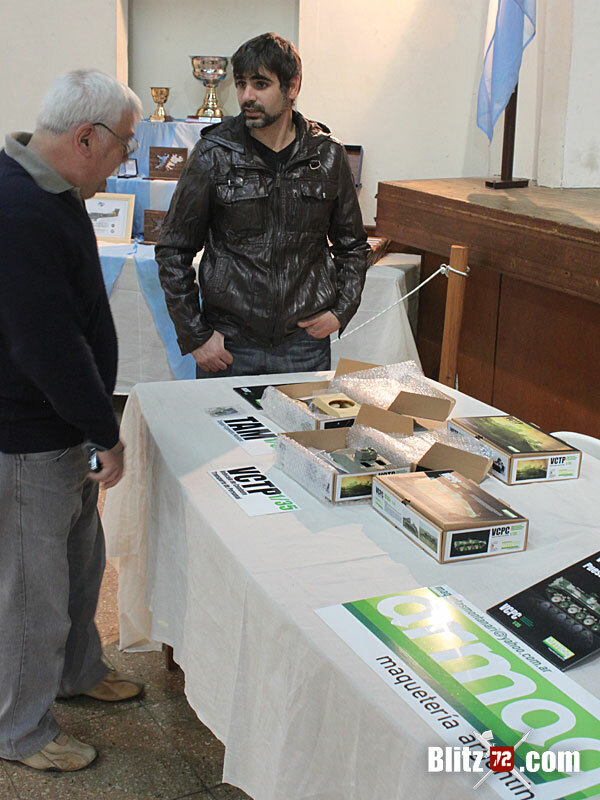 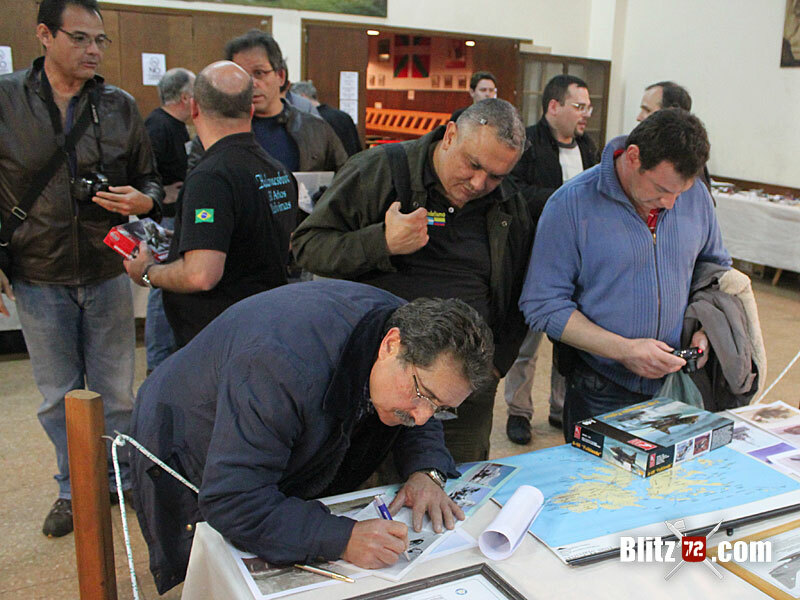 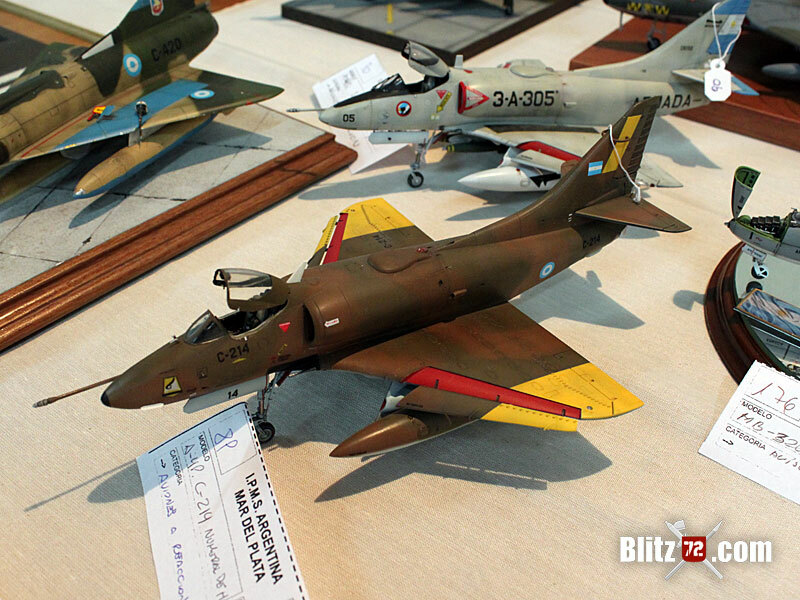 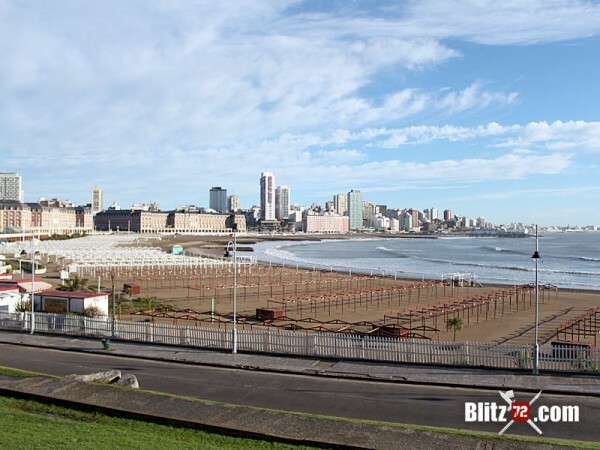 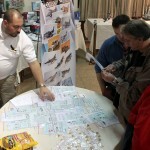 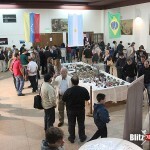 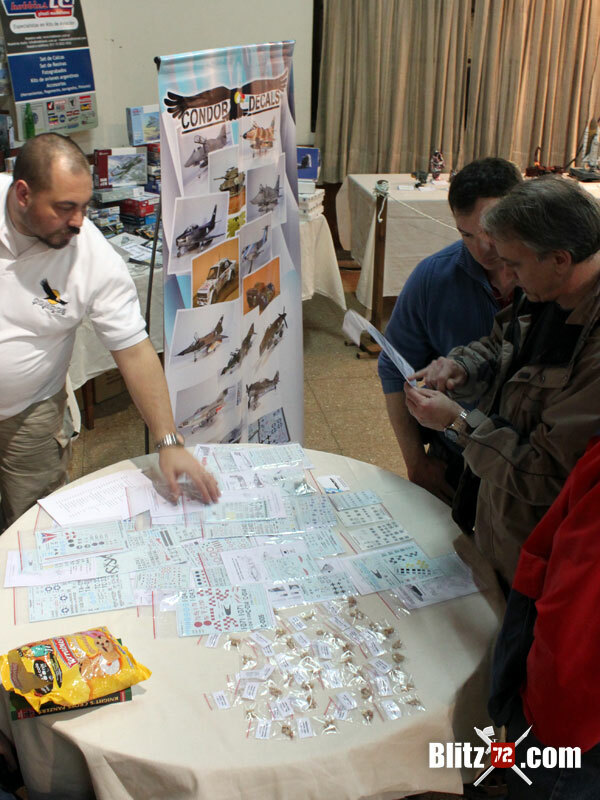 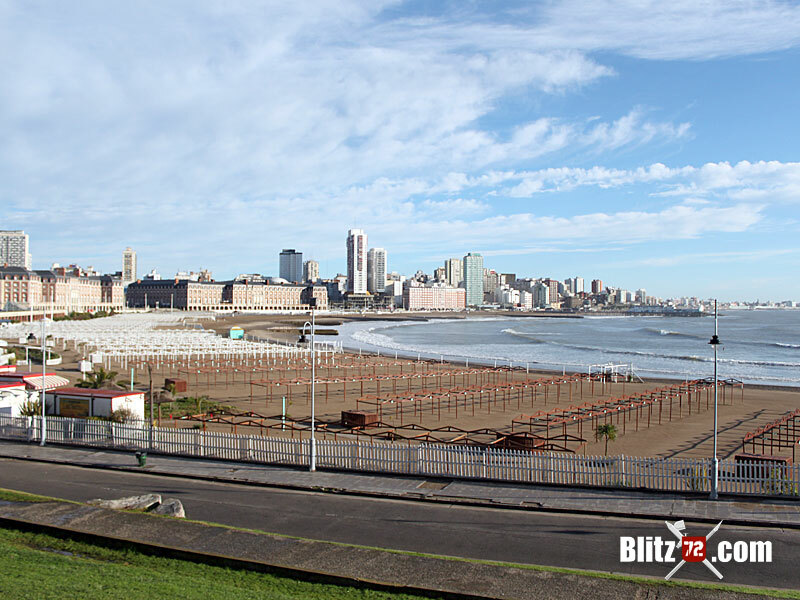 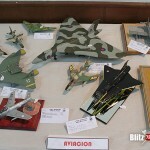 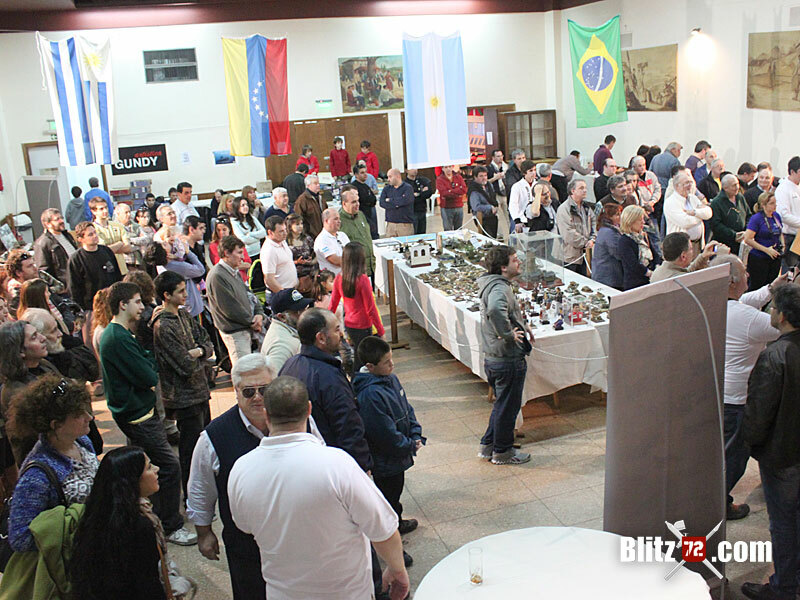 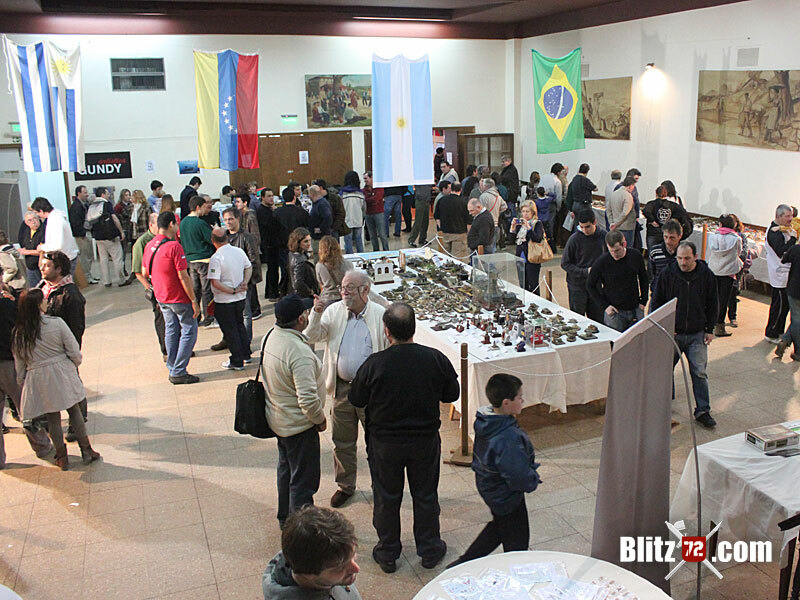 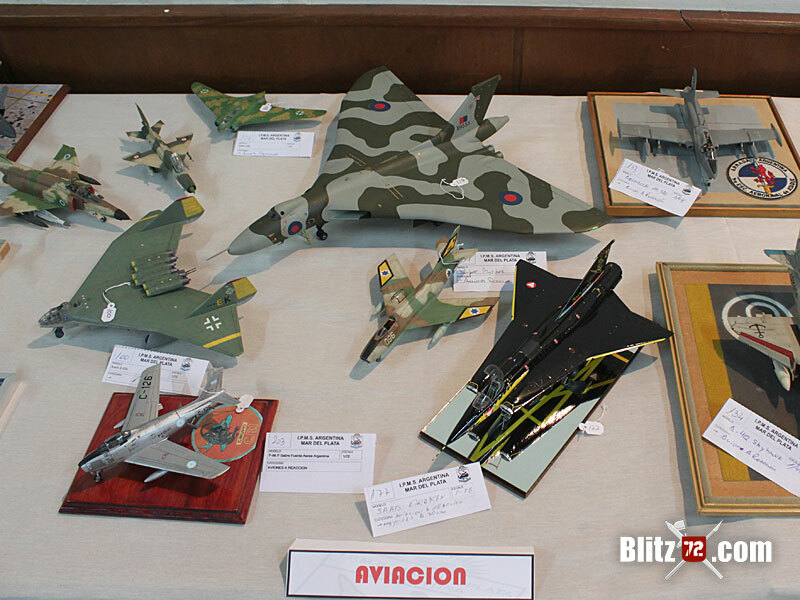 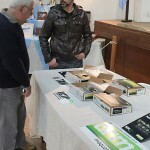 Mar del Plata city, some 410 Kms (255 mi) South of Buenos Aires saw swarms of modelers from Brazil, Venezuela, Uruguay and all over Argentina arrive for this event. Among the highlights of the event were the regular visits from former and active duty officers, including the commander of the Submarine Force of the Argentine Navy and Malvinas/Flaklands veteran pilots like Carlos Cachon (seen below signing a book), an Argentine Air Force A-4B pilot with a distinguished record during the war. As usual in these events the vendor tables were filled with interesting kits and some offers some of Us *COUGH* me *COUGH* couldn’t resist. 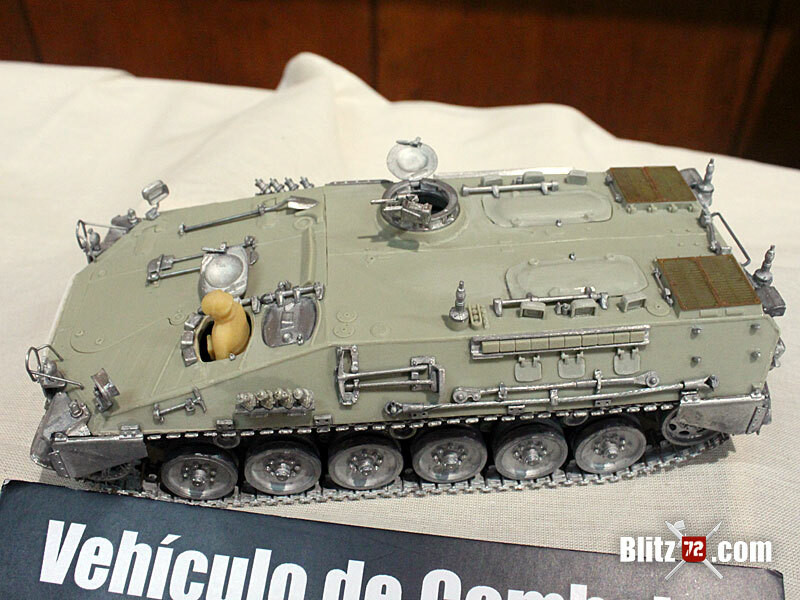 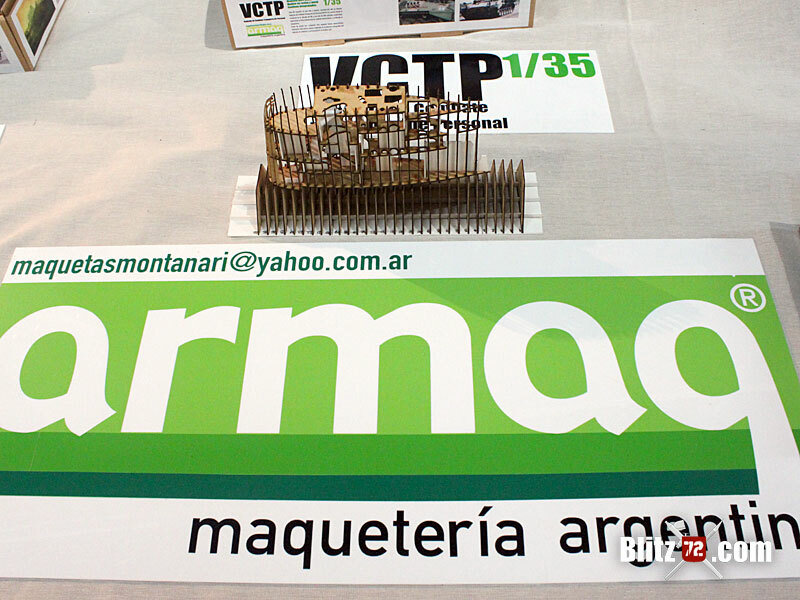 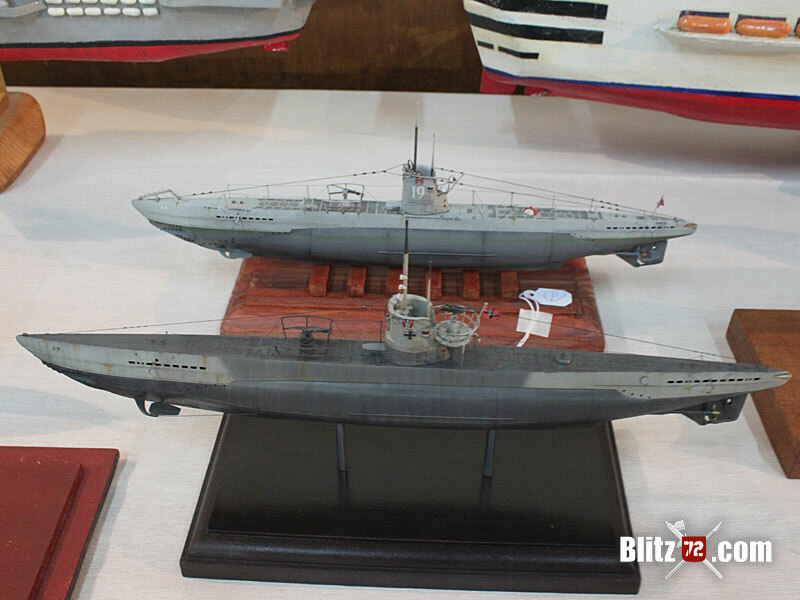 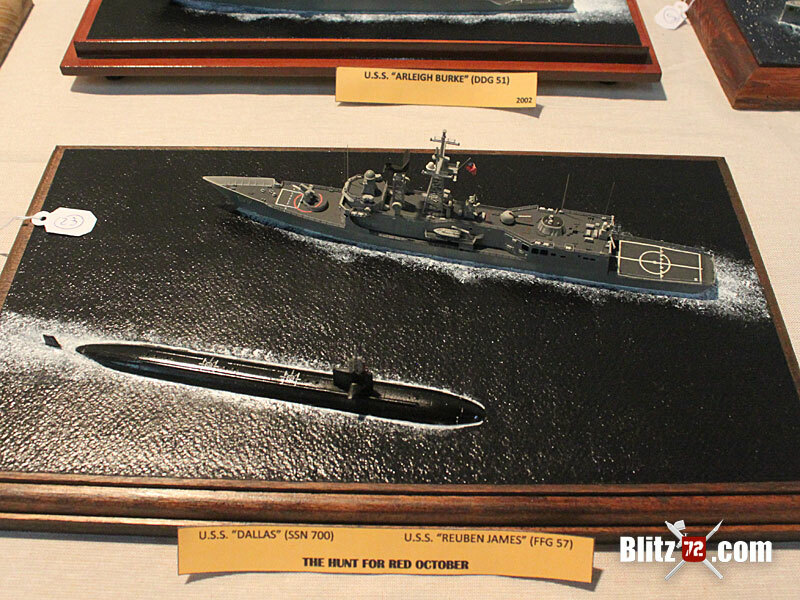 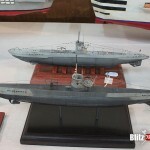 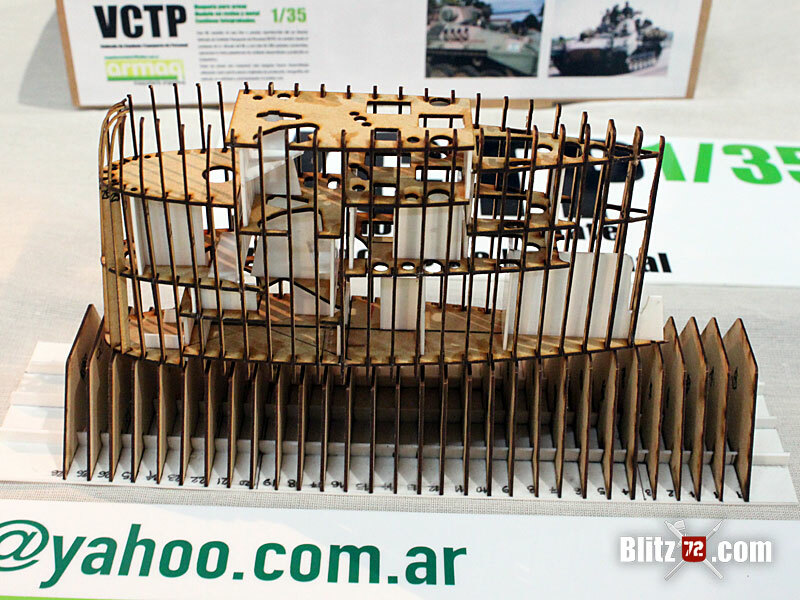 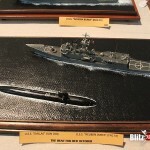 Gabriel from Armaq models was one of these vendors, and he was kind enough to show Us one of the projects he is currently developing, an Argentine Navy TR1700 class Submarine diorama featuring a fully detailed tower and center part of the hull. 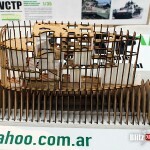 This model will be available next year in resin complete with the “sea” surface base and is produced using not only the actual blueprints but also as per Argentine Navy requirements in *TADDA! 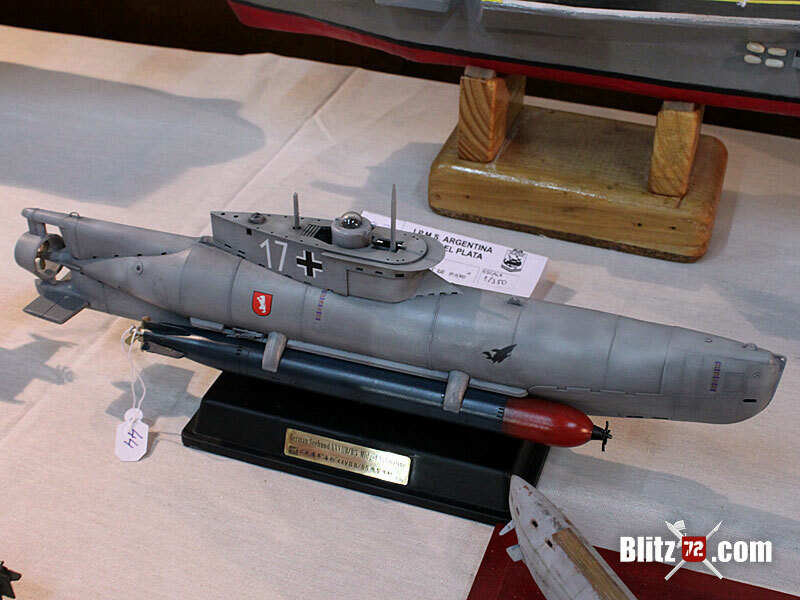 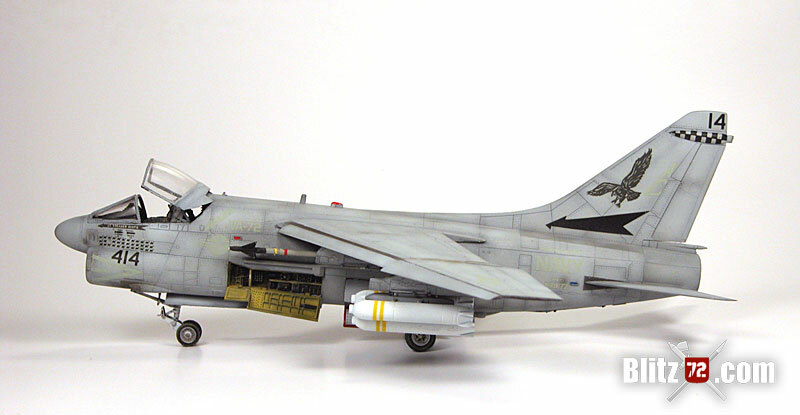 * 1/72 scale. 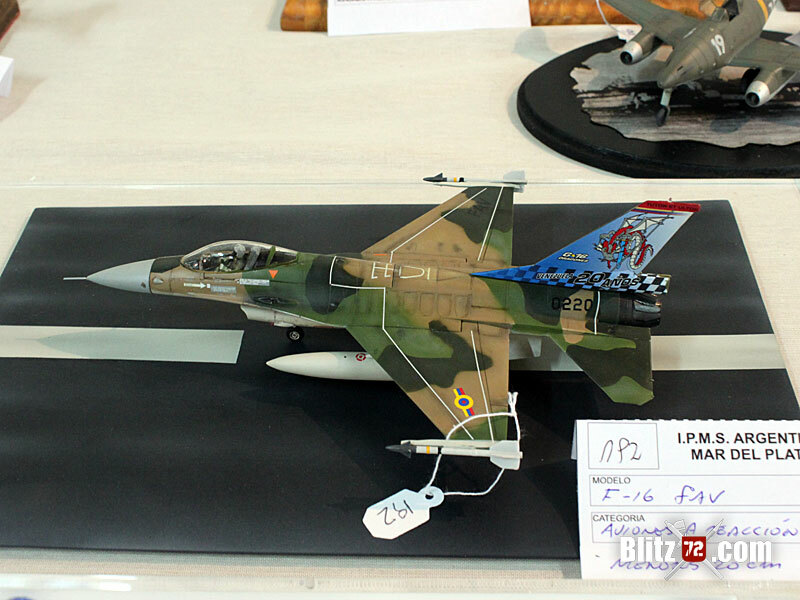 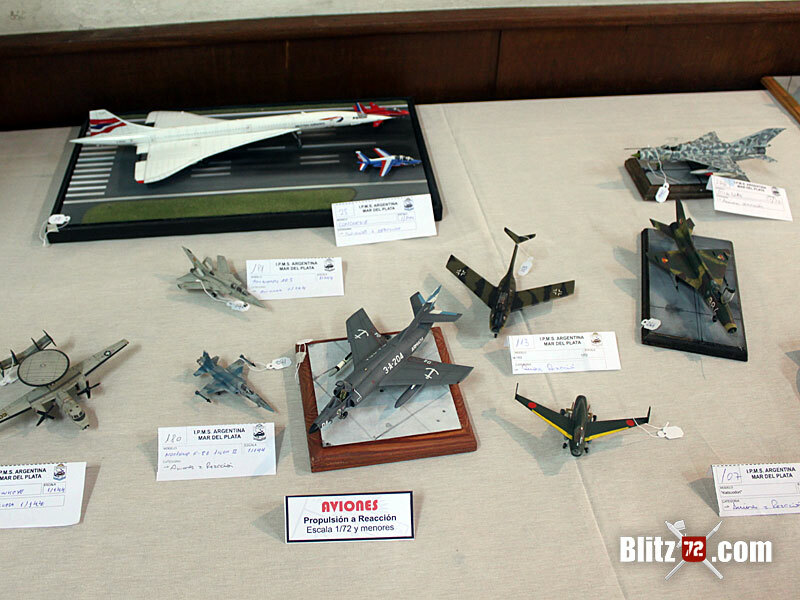 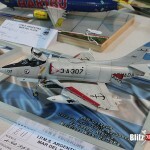 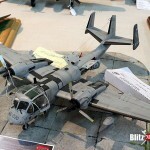 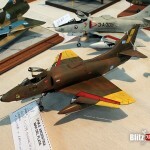 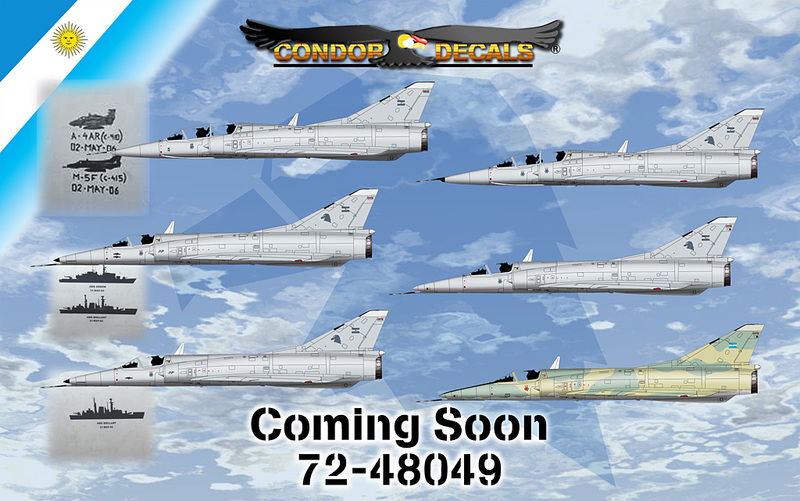 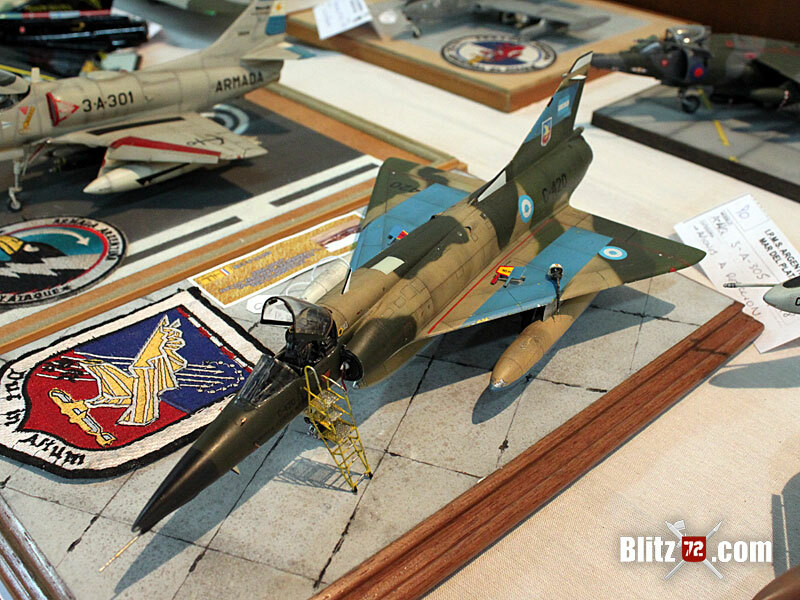 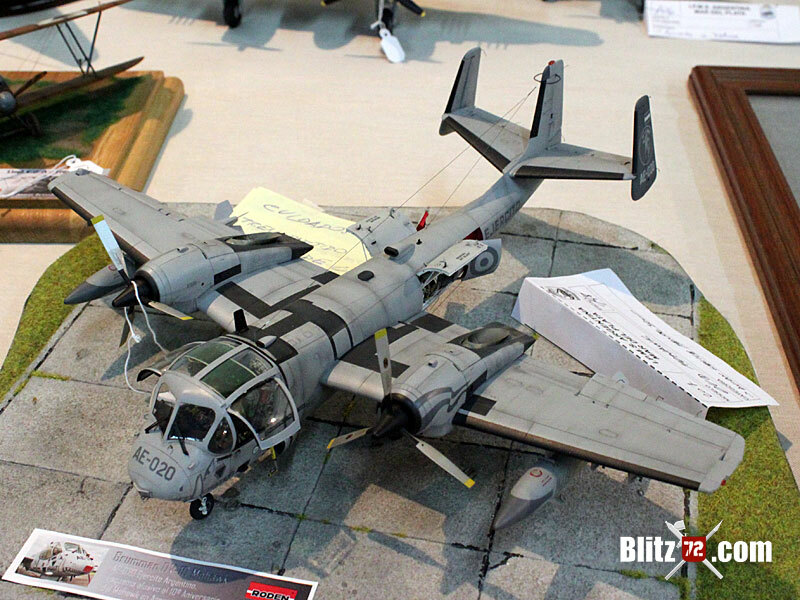 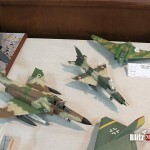 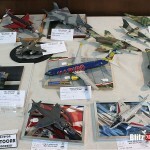 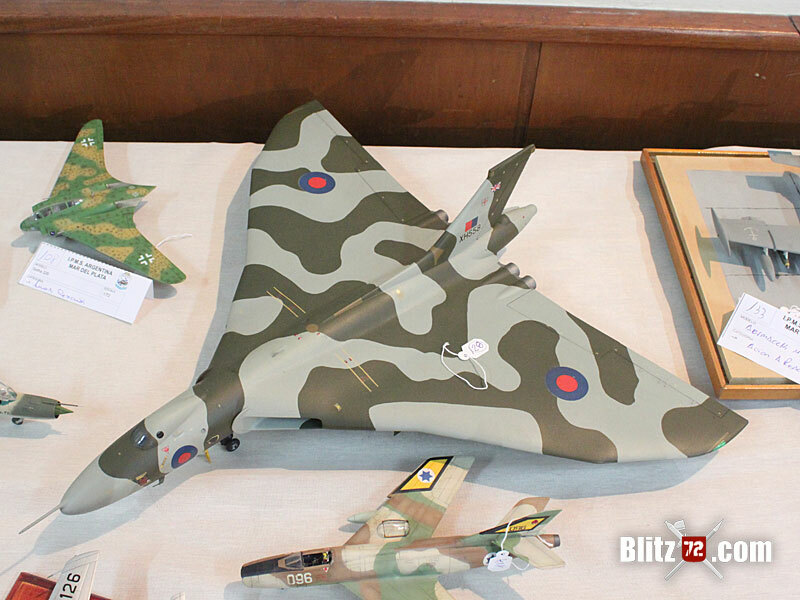 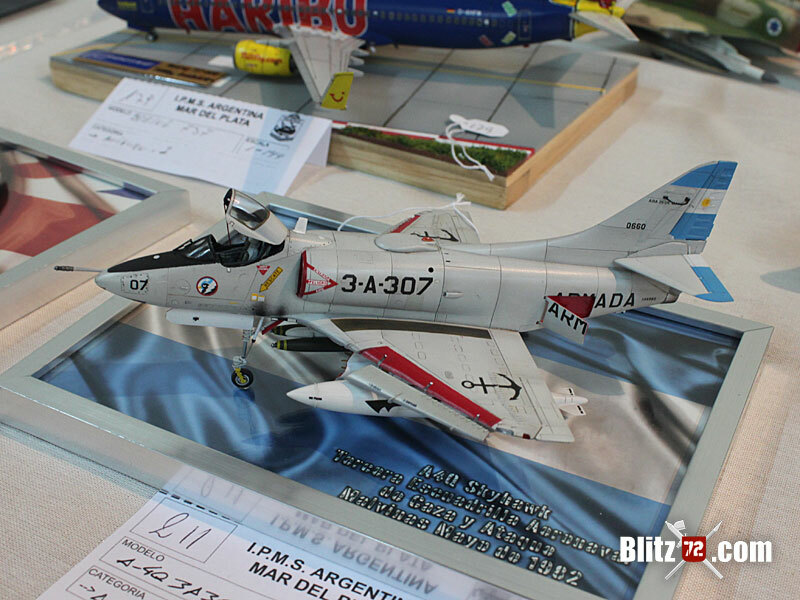 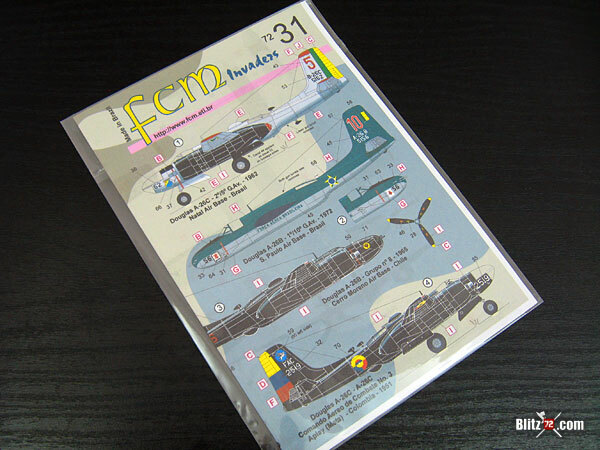 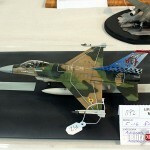 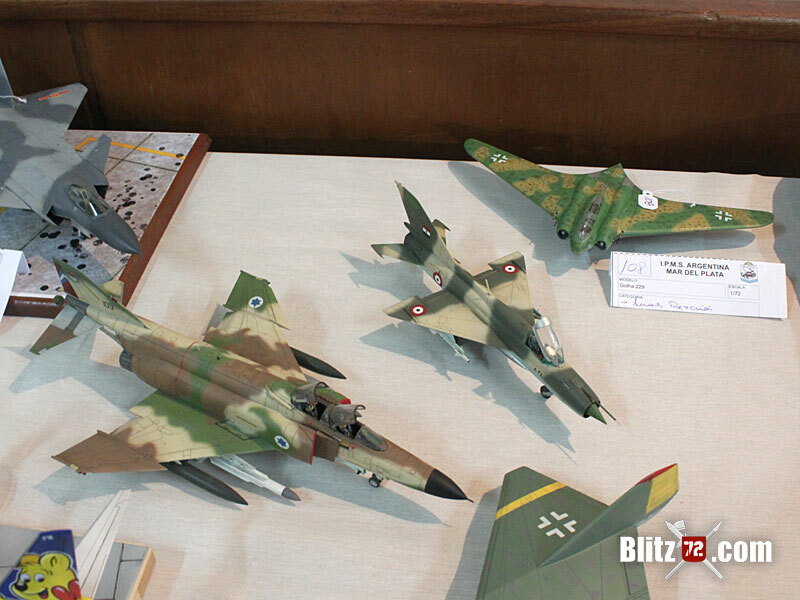 Both Condor decals and Hobbies LC had interesting tables with A LOT of 1/72 products. 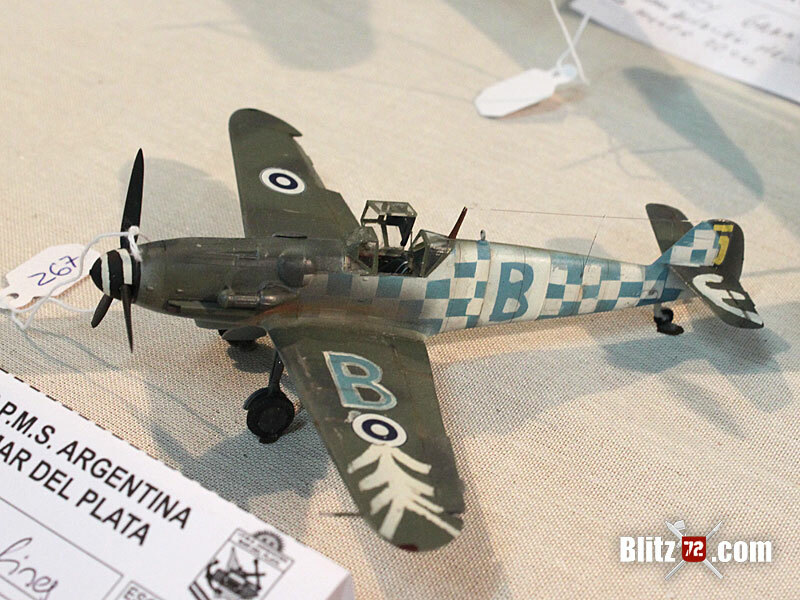 I couldn’t help myself and grabbed a Hasegawa 109E, a 2 x 1 Hasegawa Combo of 109 Gs and a Special Hobby Fiat G.55B trainer with Argentine decals in the box! 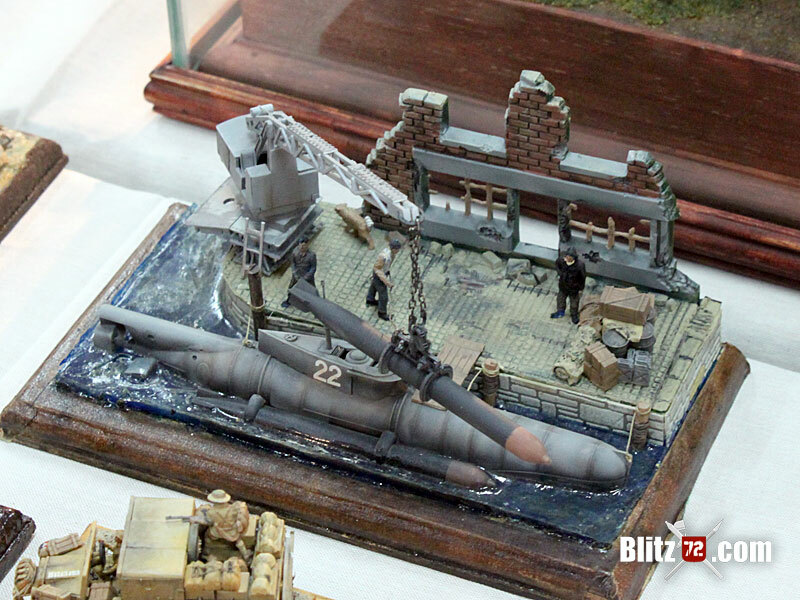 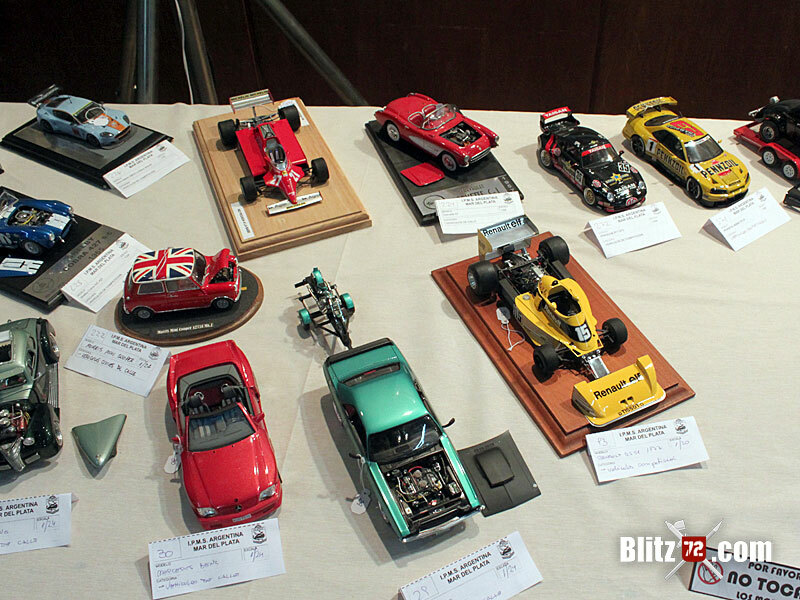 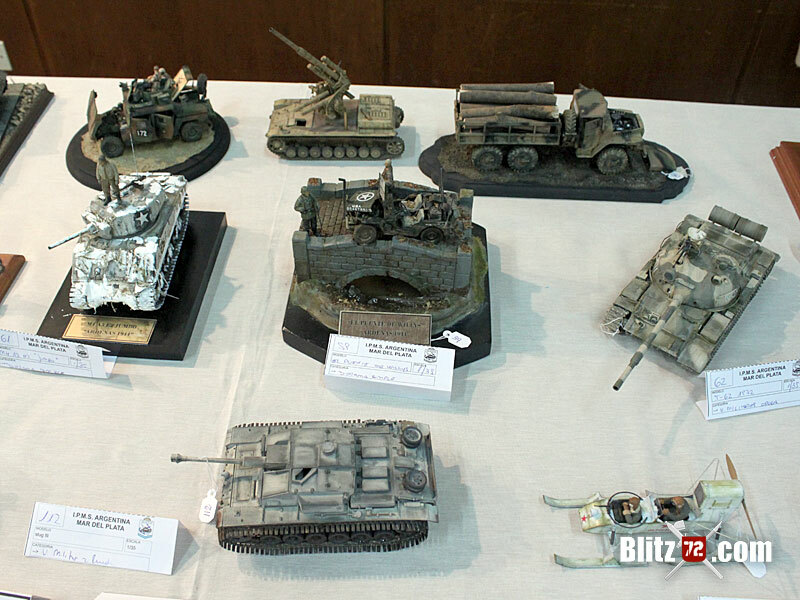 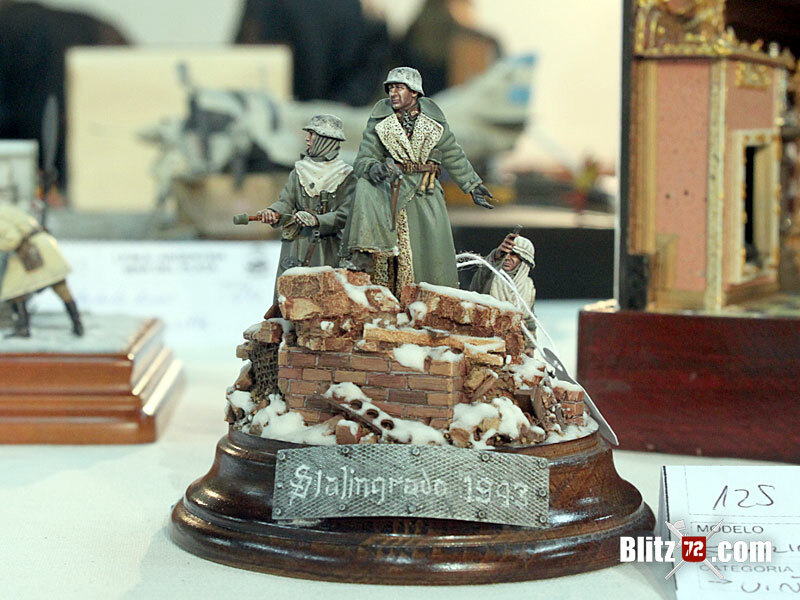 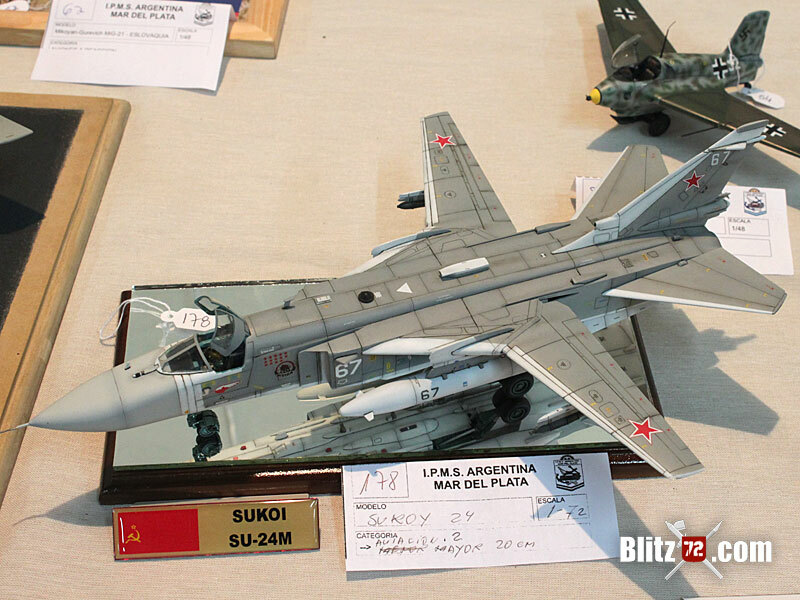 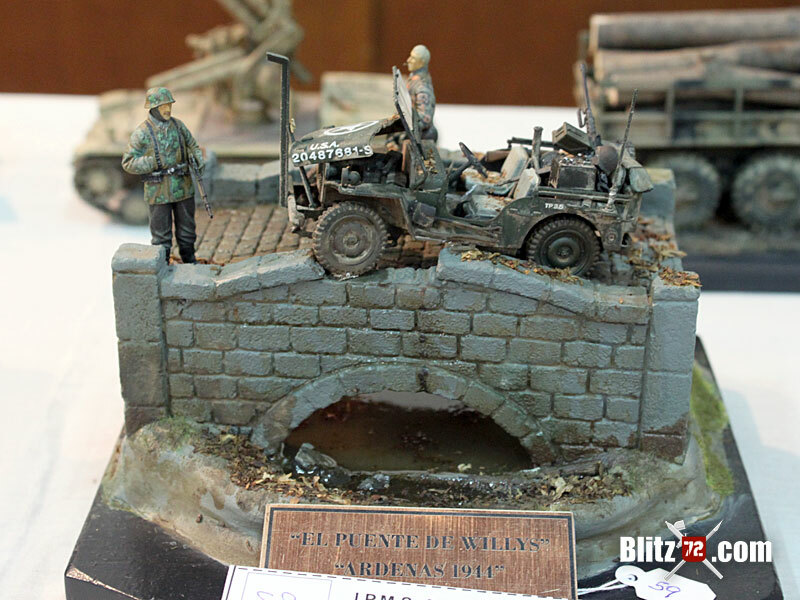 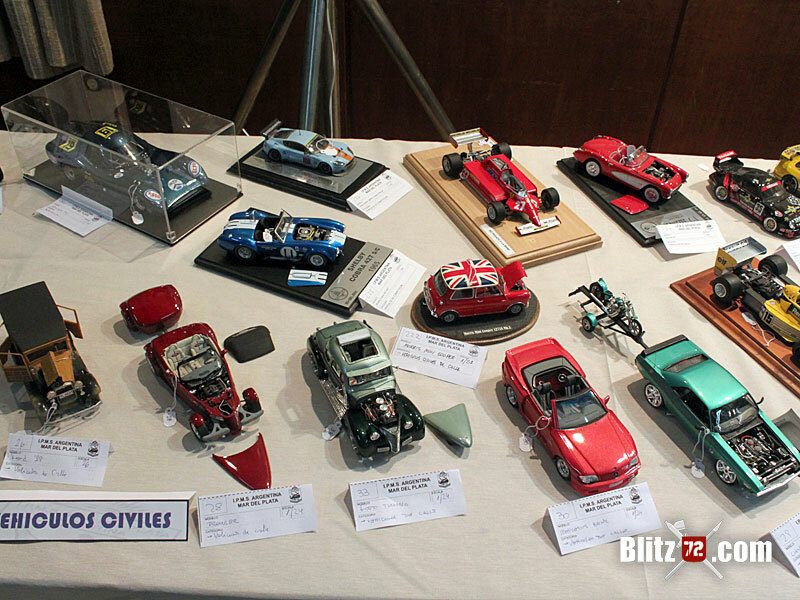 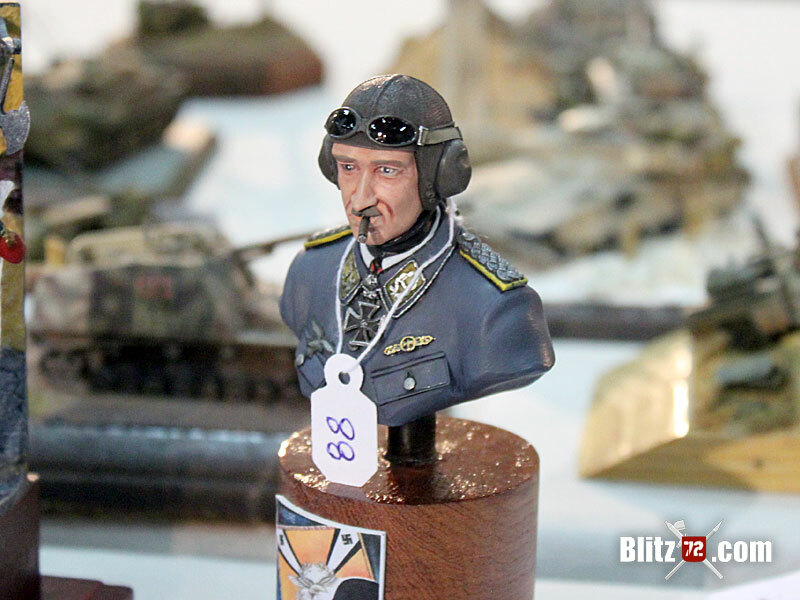 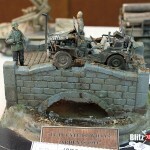 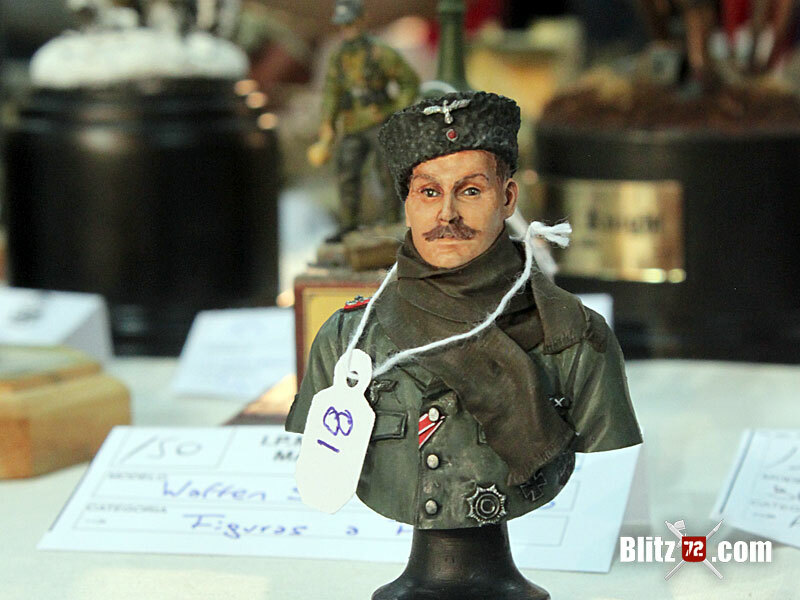 The level of some of these pieces was astonishing, and I am not talking about 1/72 alone. 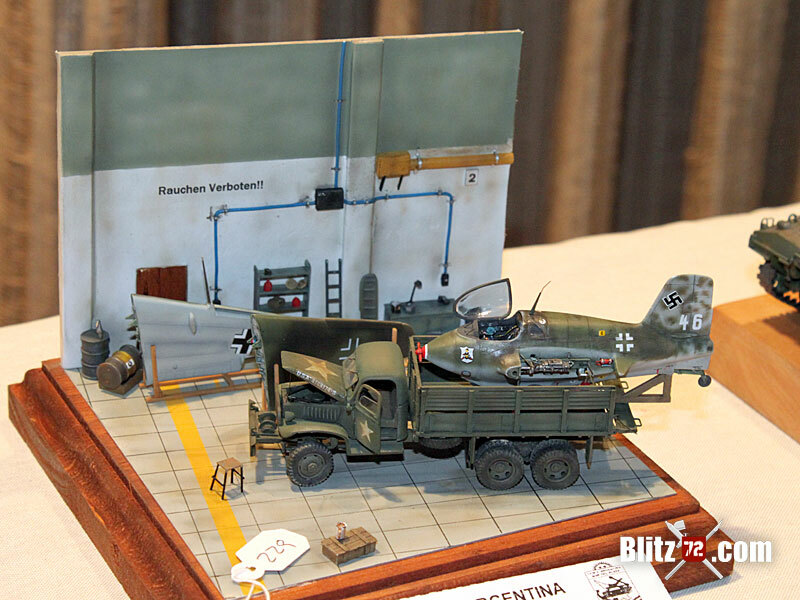 There were several models with a very complex yet flawless execution. 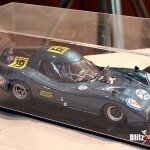 Take for instance the Halcon TC racing car built completely from Scratch. 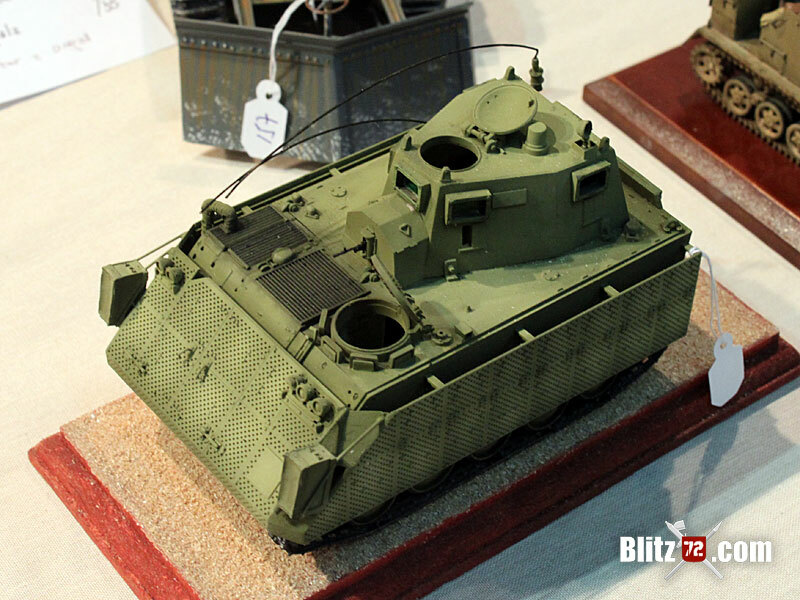 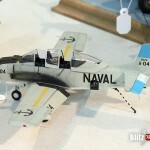 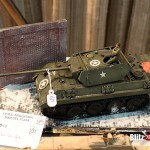 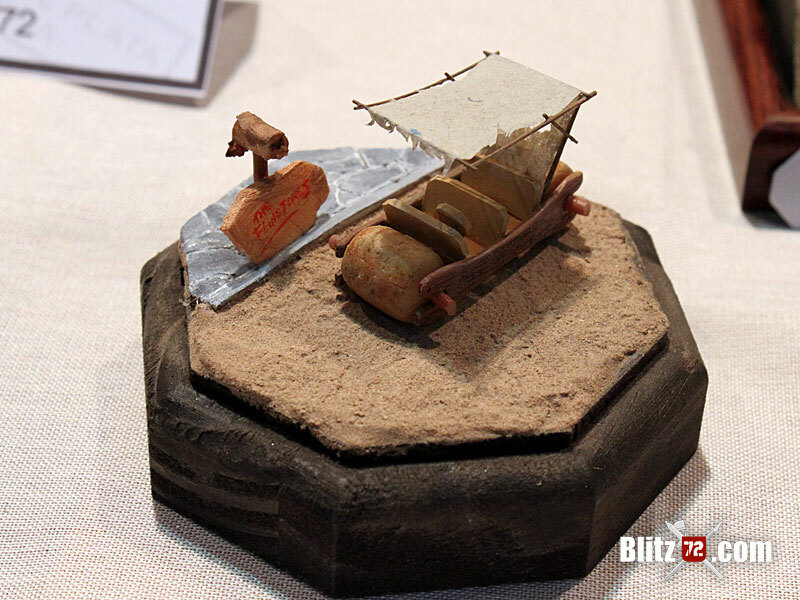 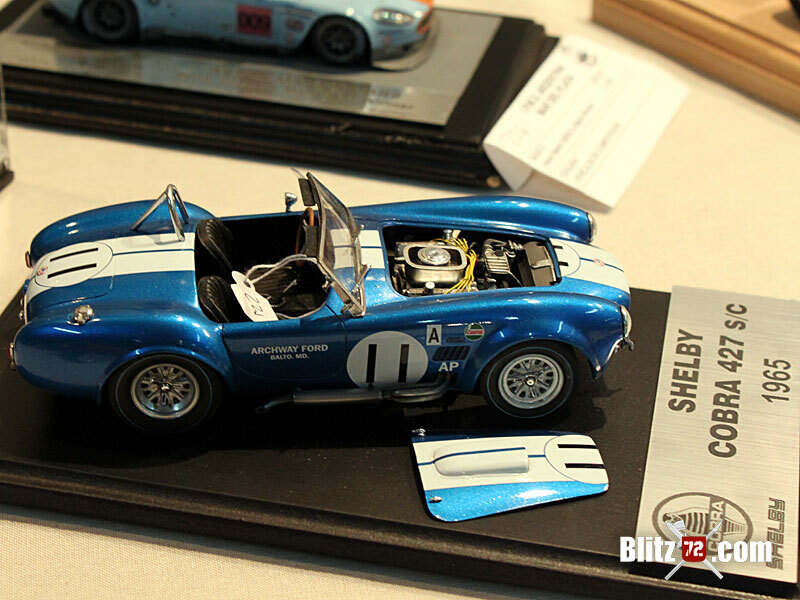 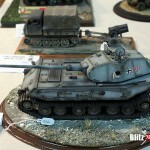 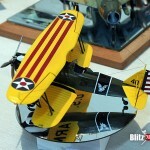 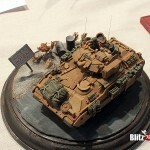 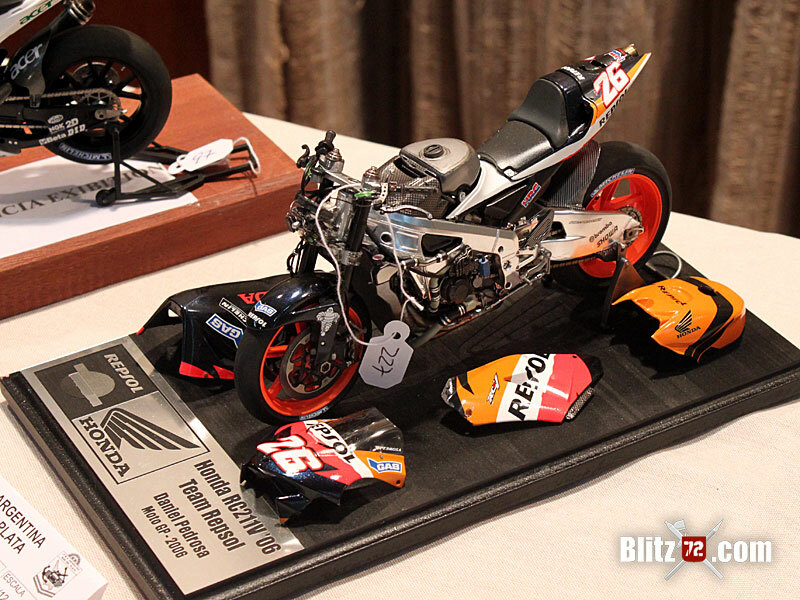 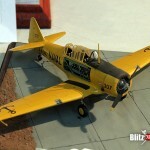 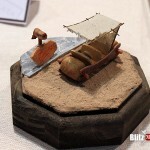 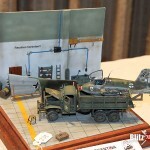 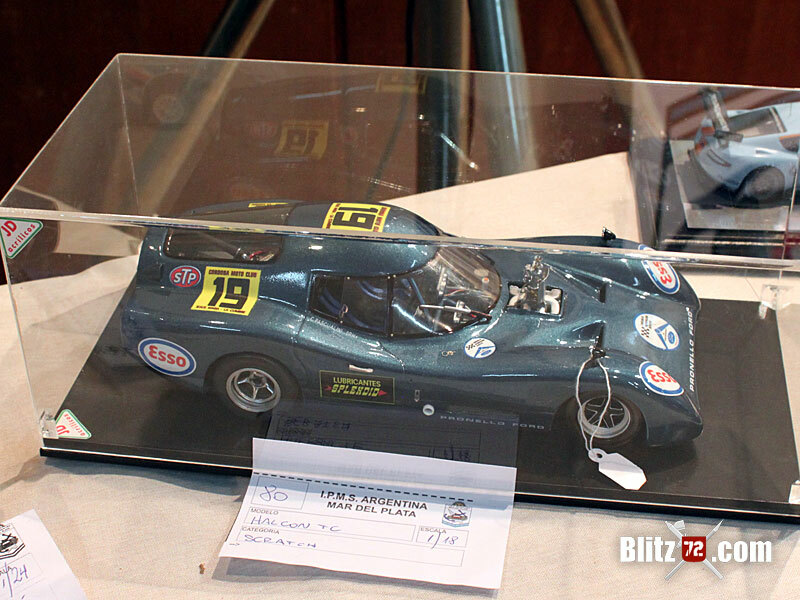 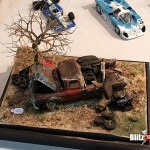 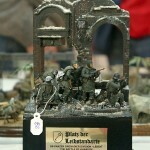 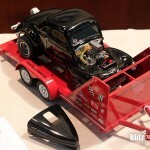 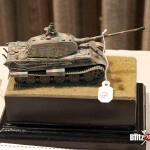 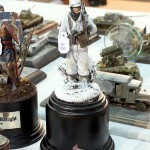 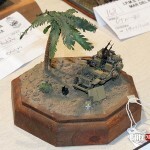 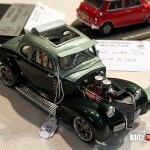 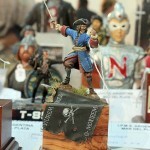 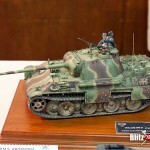 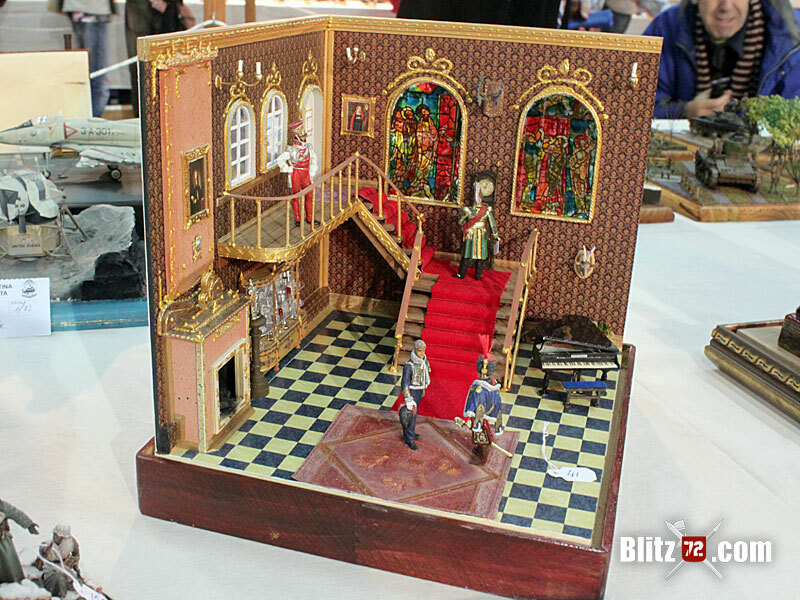 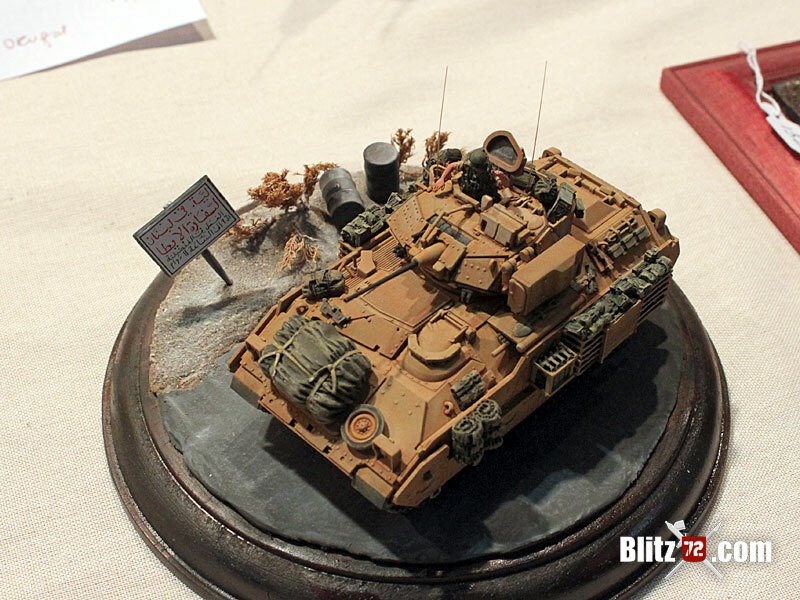 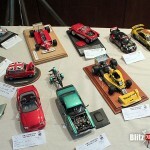 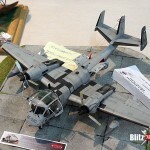 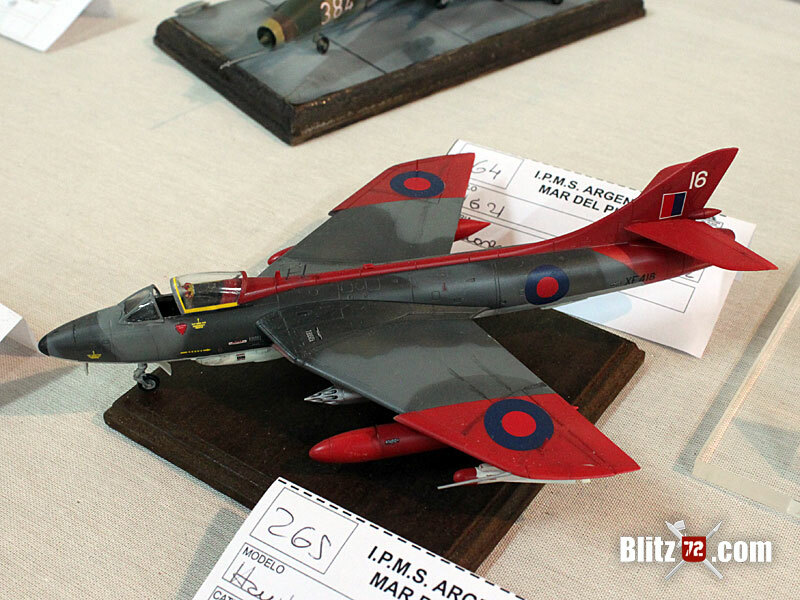 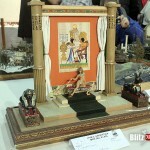 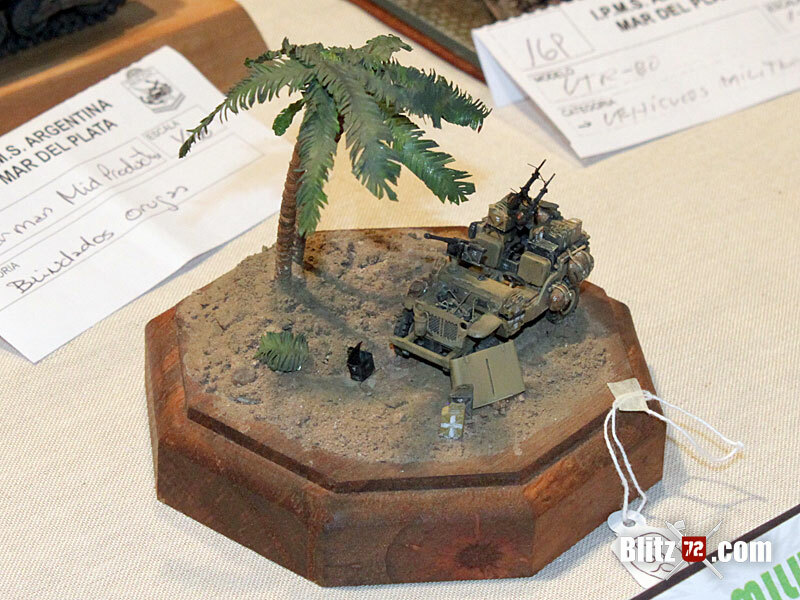 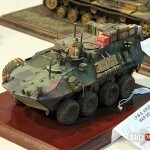 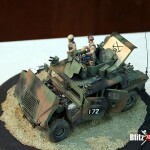 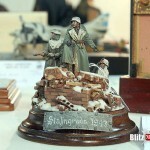 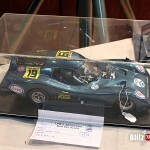 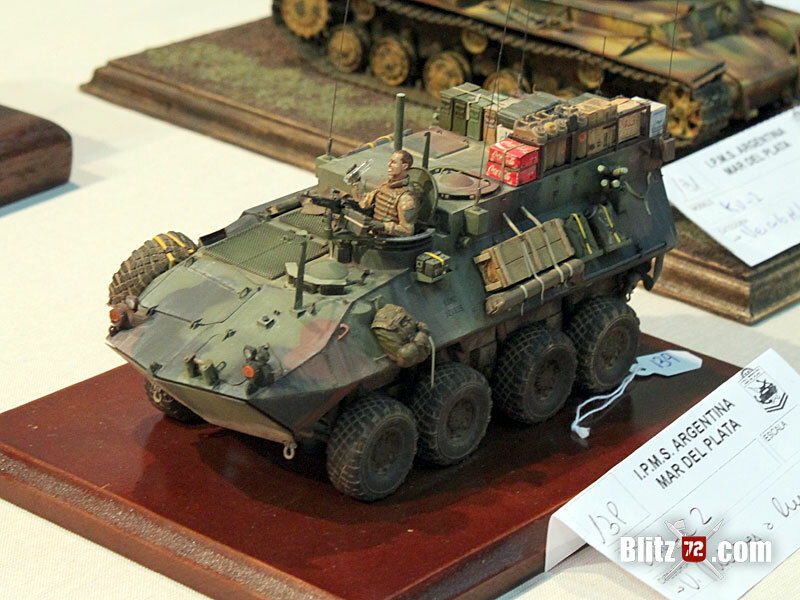 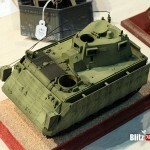 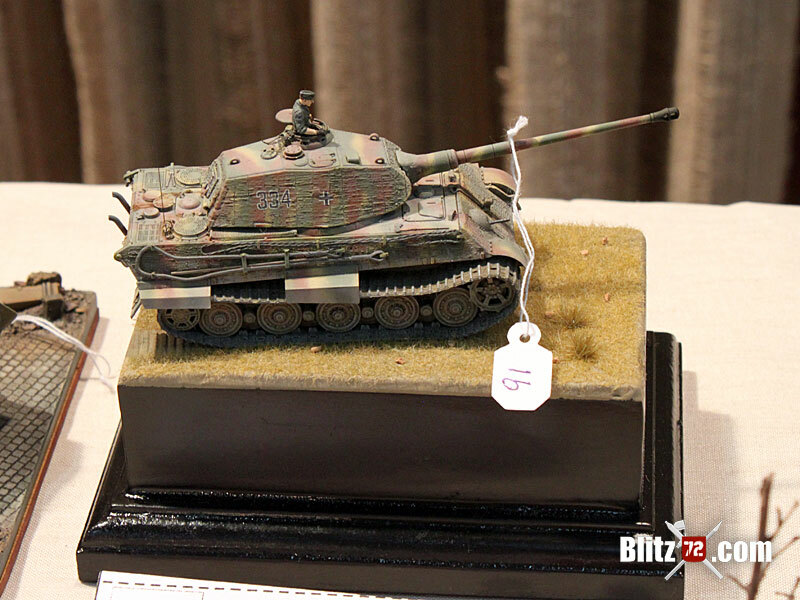 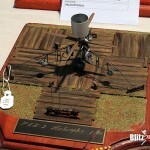 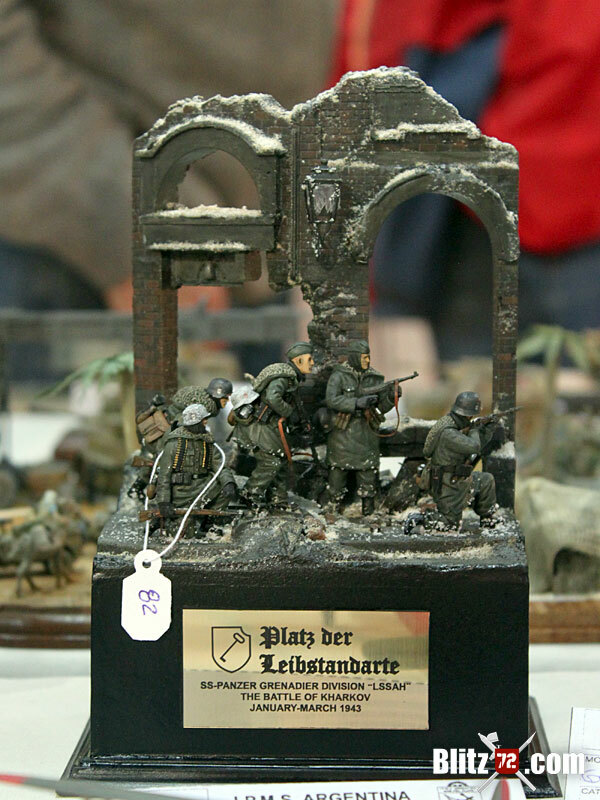 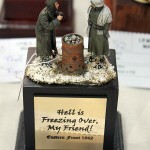 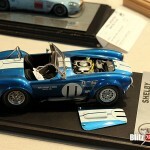 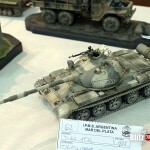 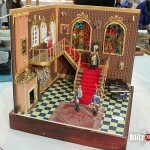 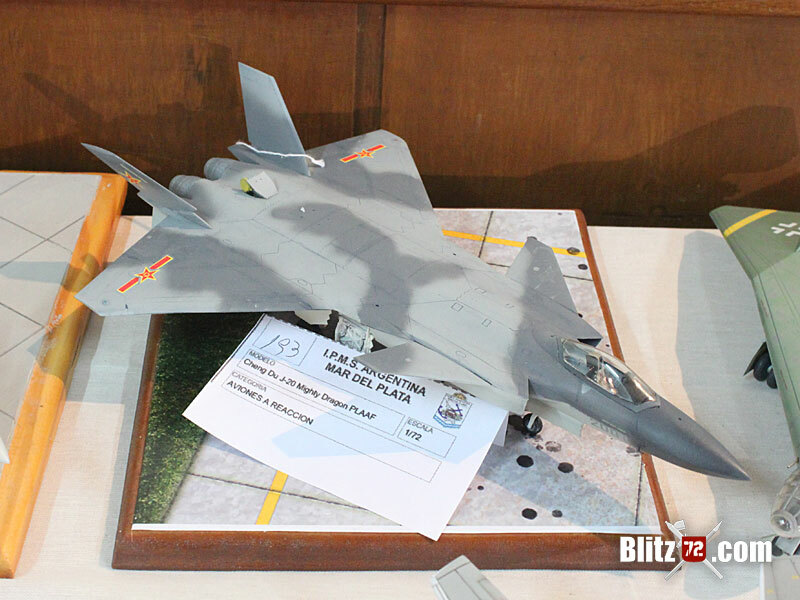 This model won best of show among several other distinctions. 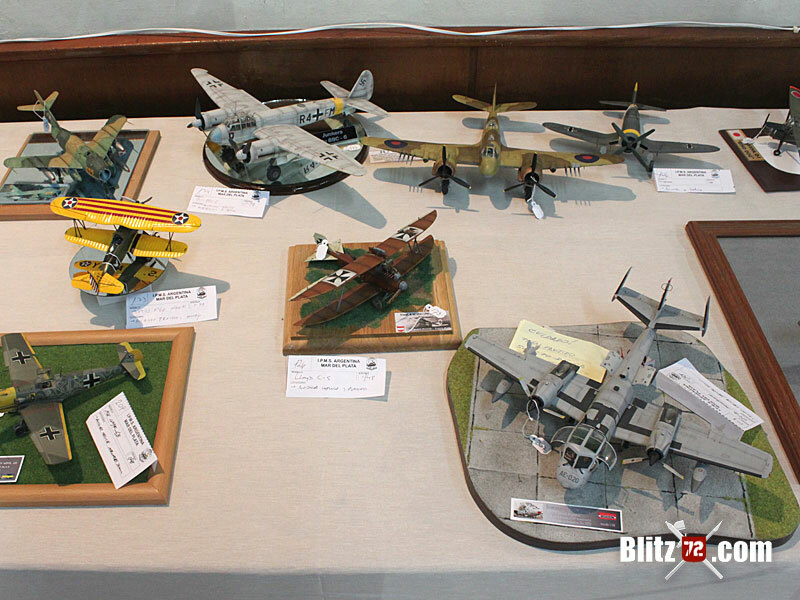 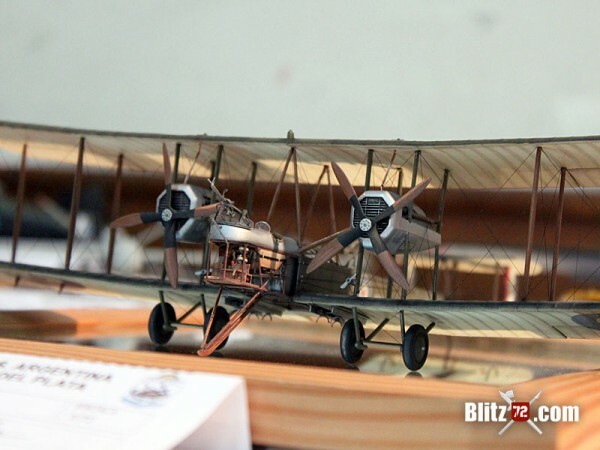 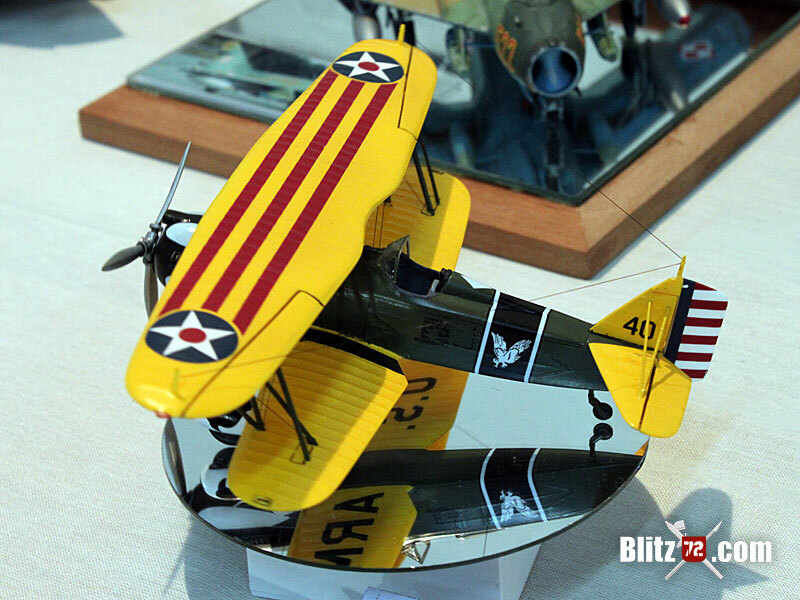 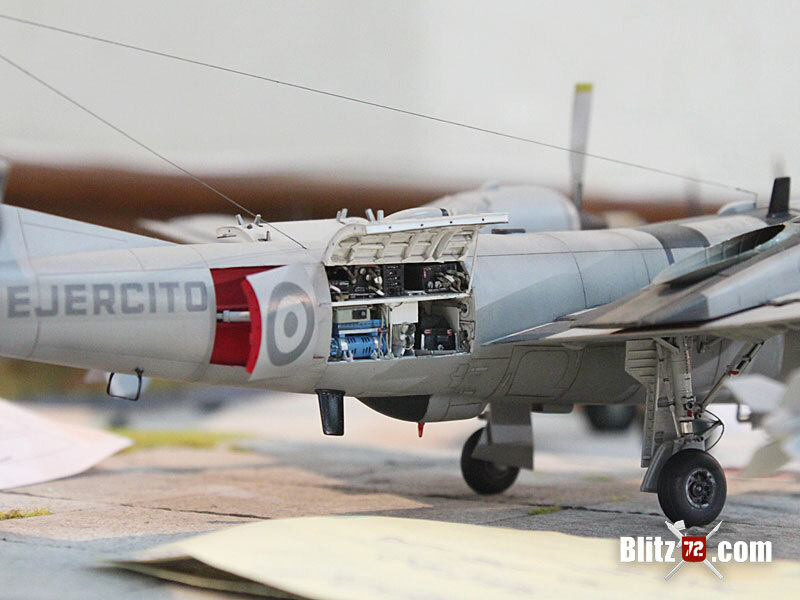 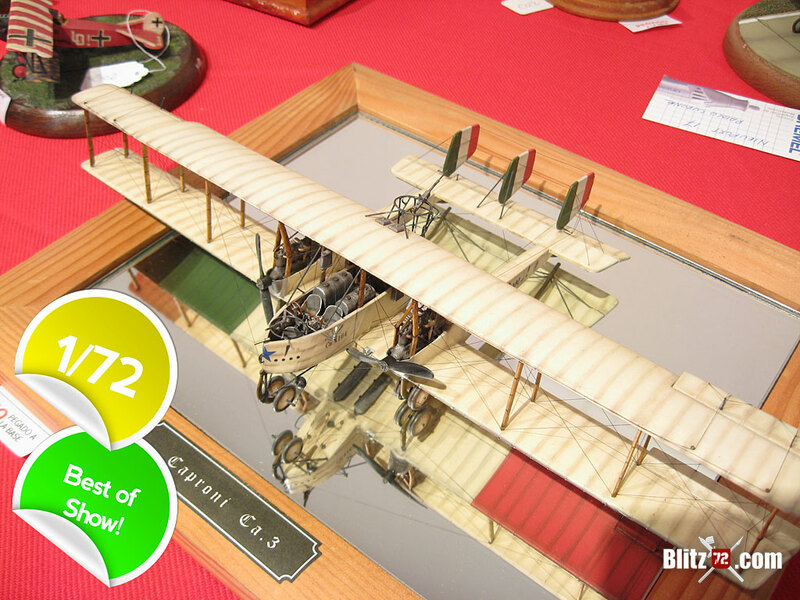 Going back to our beloved 1/72 scale there were truly masterpieces like the scratch-built Curtiss 1916 biplane by Erick Caldas from Brazil, and the Vickers Vimy by Pablo Curone. 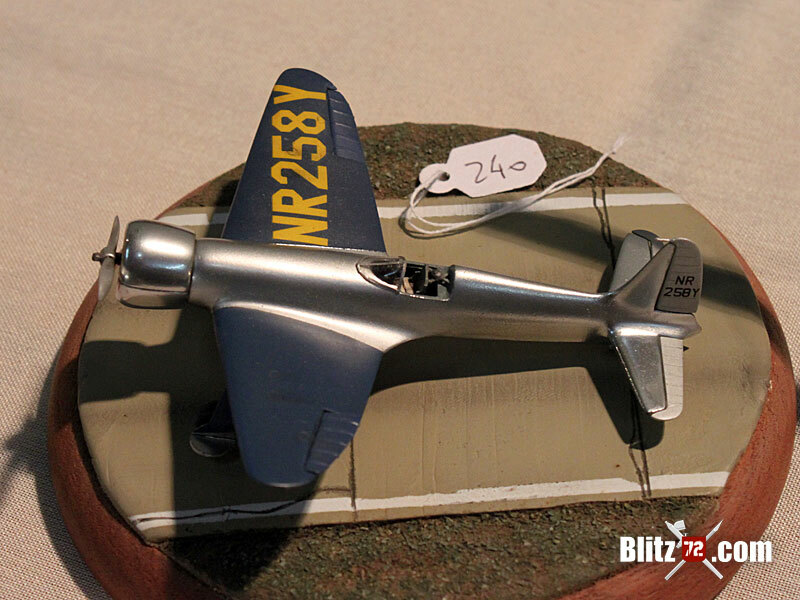 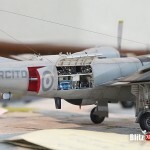 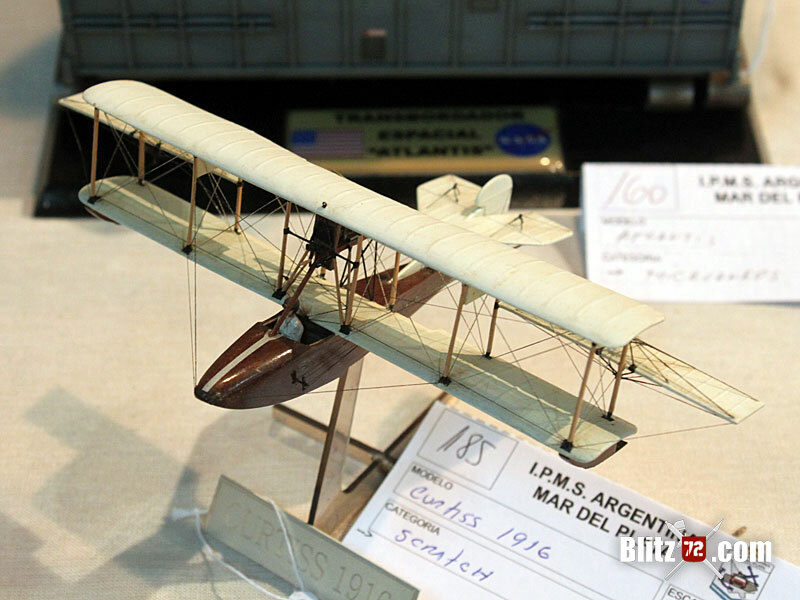 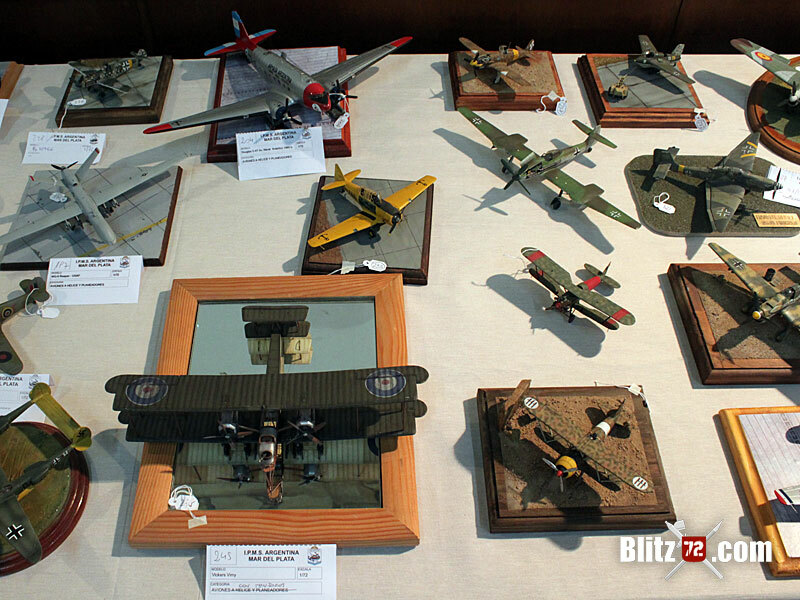 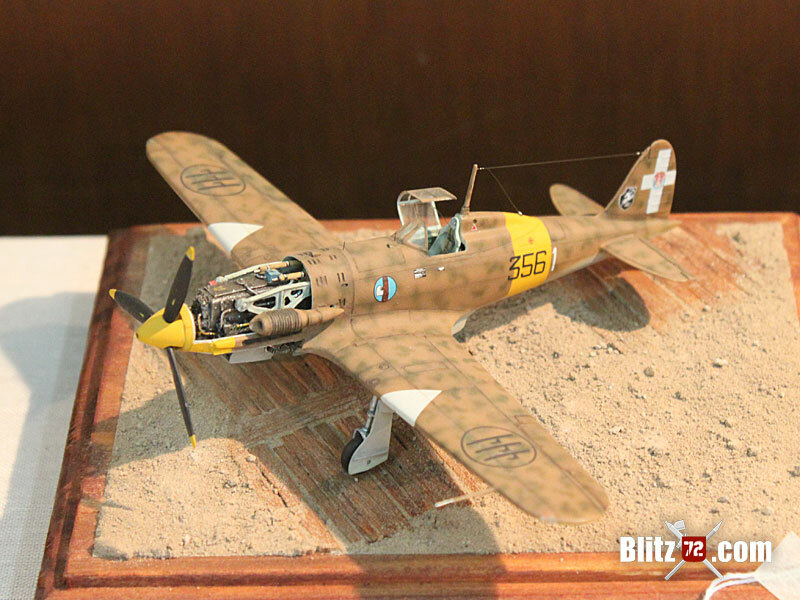 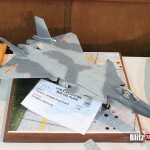 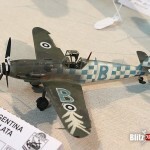 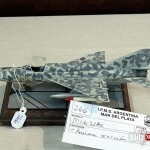 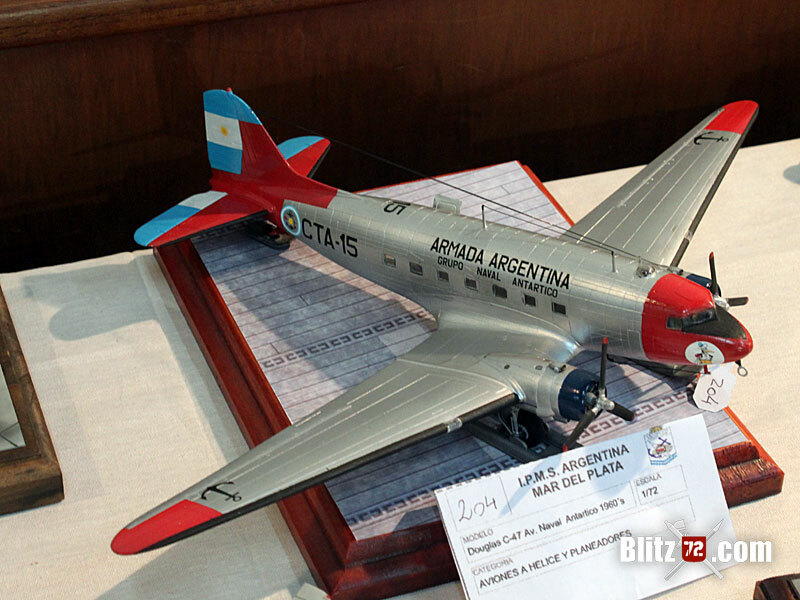 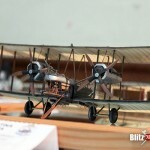 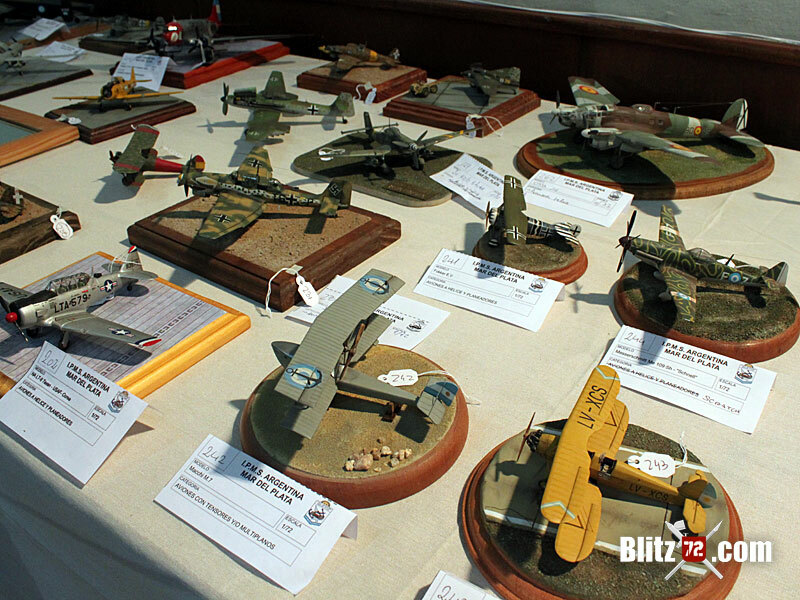 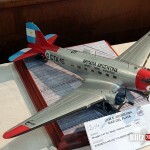 You might recall Mr Curone as he was the author of the fully scratch-built Caproni Ca.3 in 1/72 that took a lot of awards last year, including Best of Show at the 3rd CAM Modeling Contest in Buenos Aires. 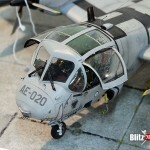 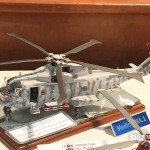 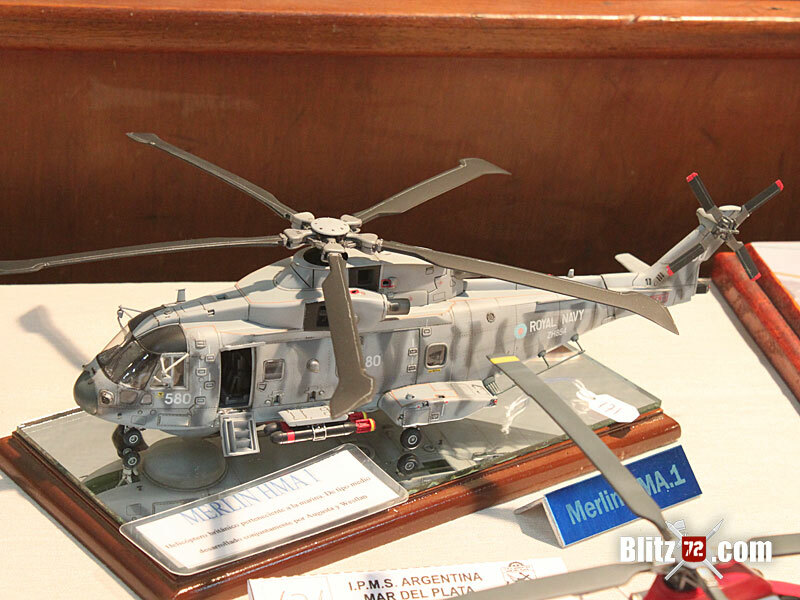 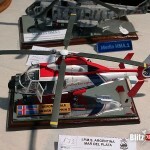 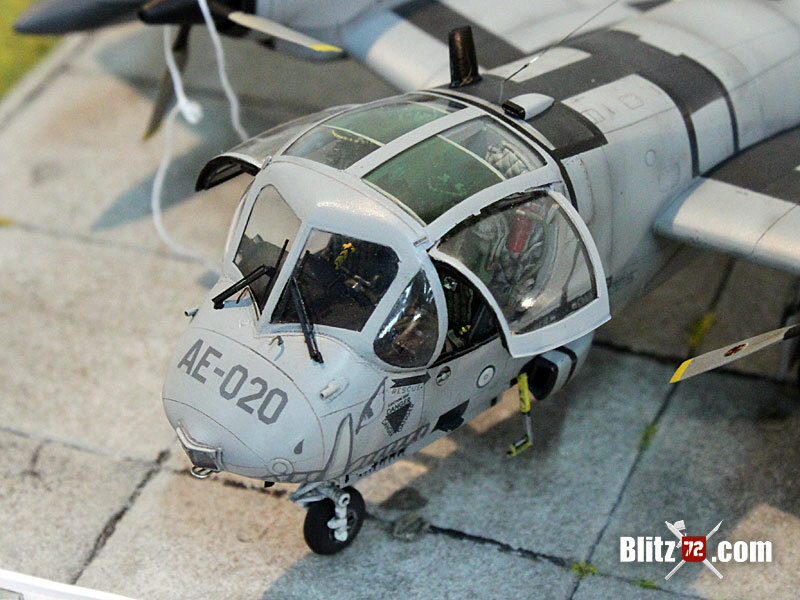 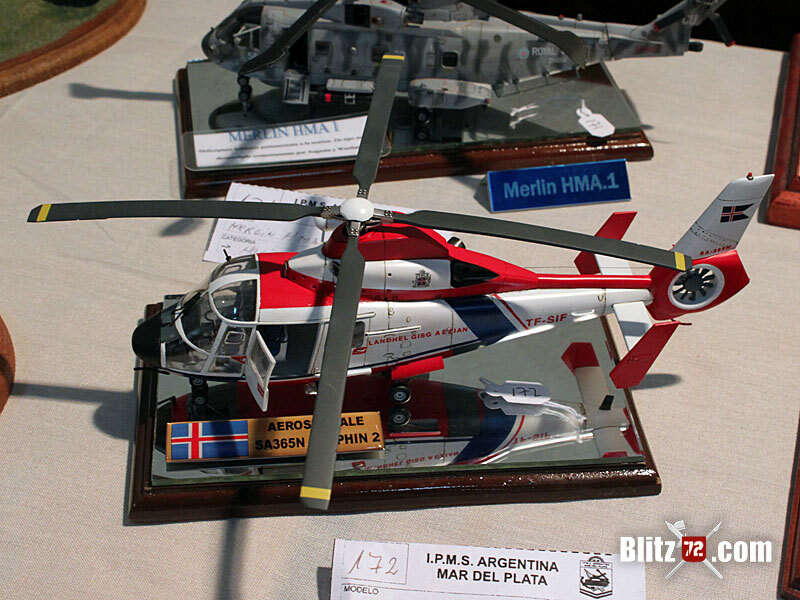 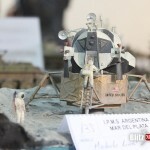 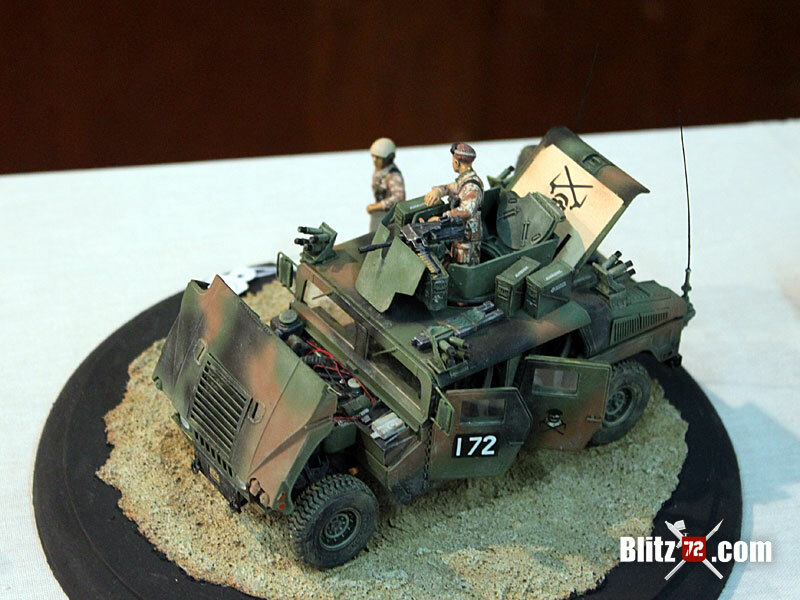 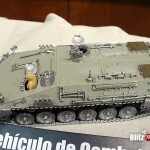 Mention worthy is the Merlin Helicopter by Venezuelan modeler Orson Guerere. 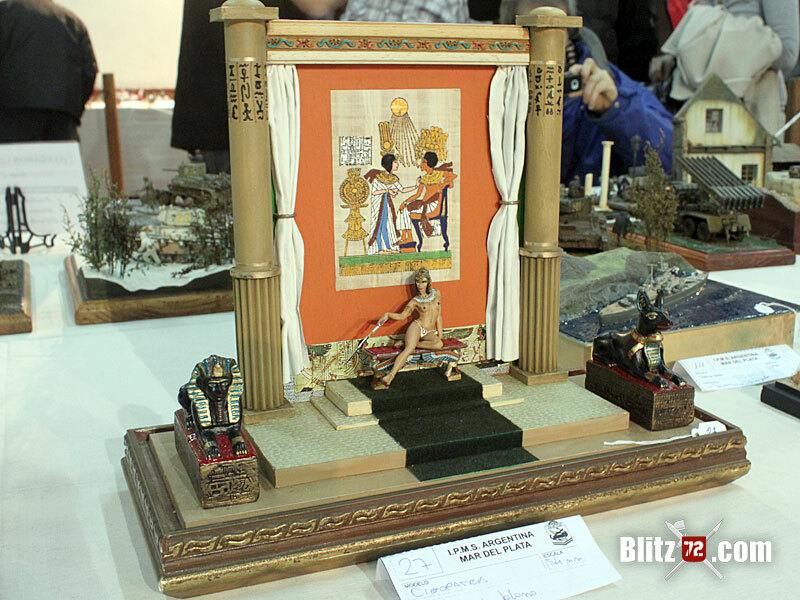 It was absolutely flawless and as such it was awarded by the judges. 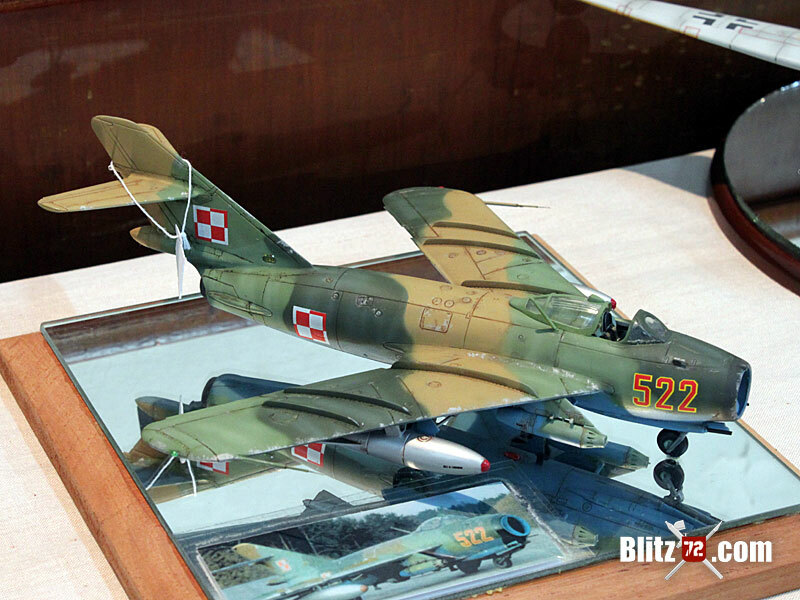 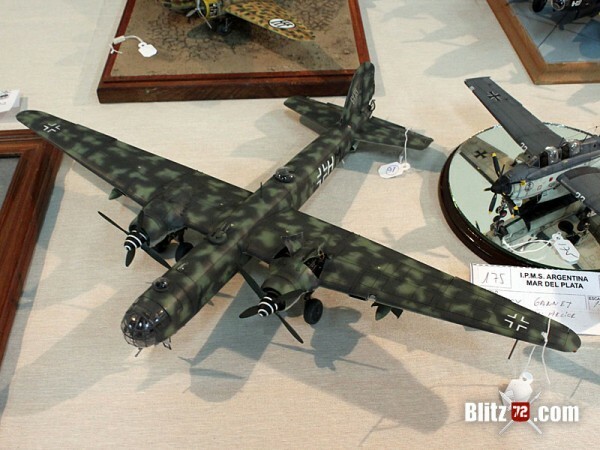 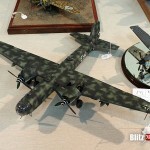 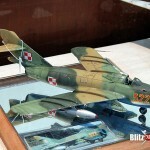 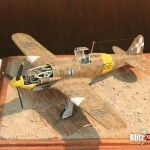 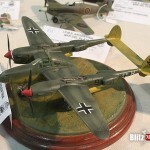 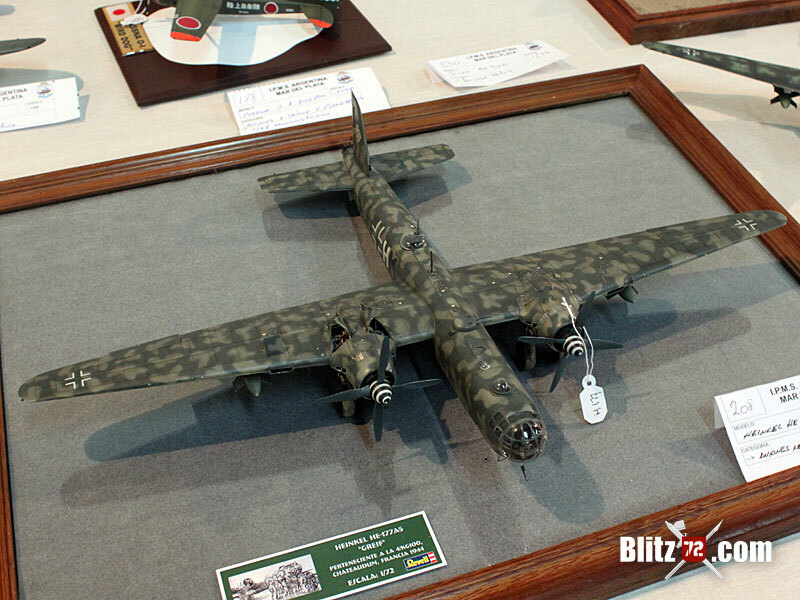 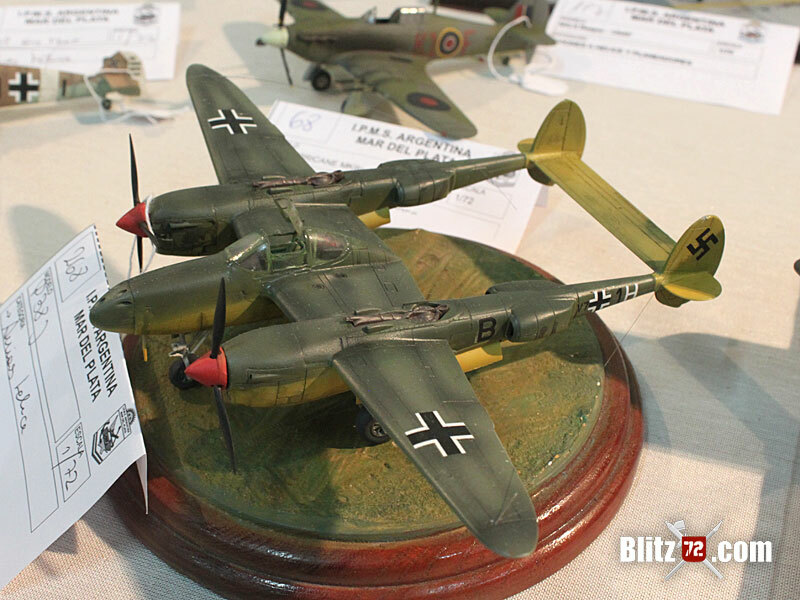 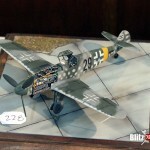 There was a couple (yep two of them) of He 177s both superbly finished with a mottled scheme. 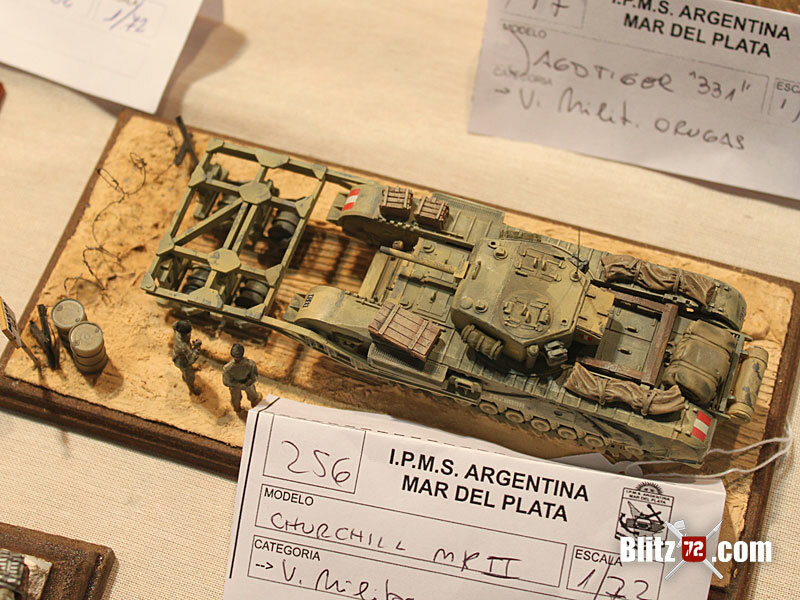 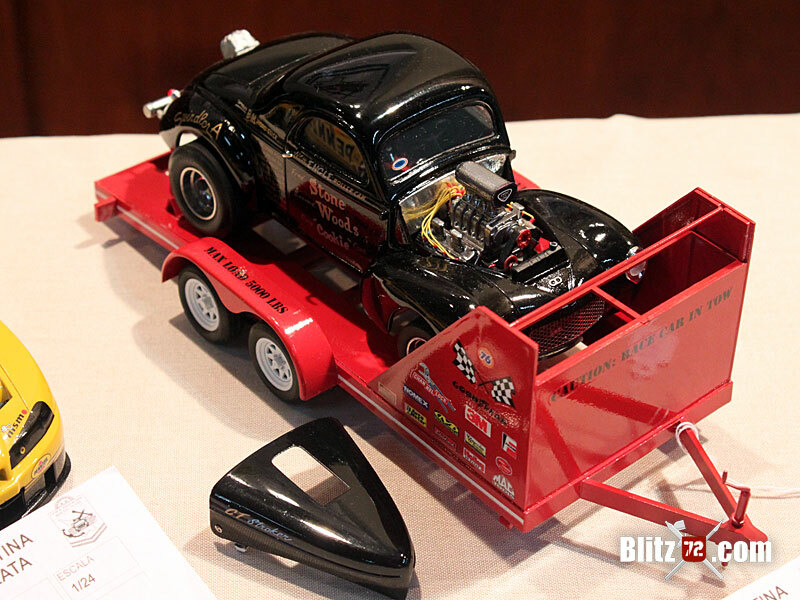 In vehicles there were two pieces that grabbed my eyes, 1st was Fabian Vera’s King Tiger Porsche and then Sergio Bellomo’s GMC truck with a super detailed Komet rocket plane in the back and a detailed base to match. 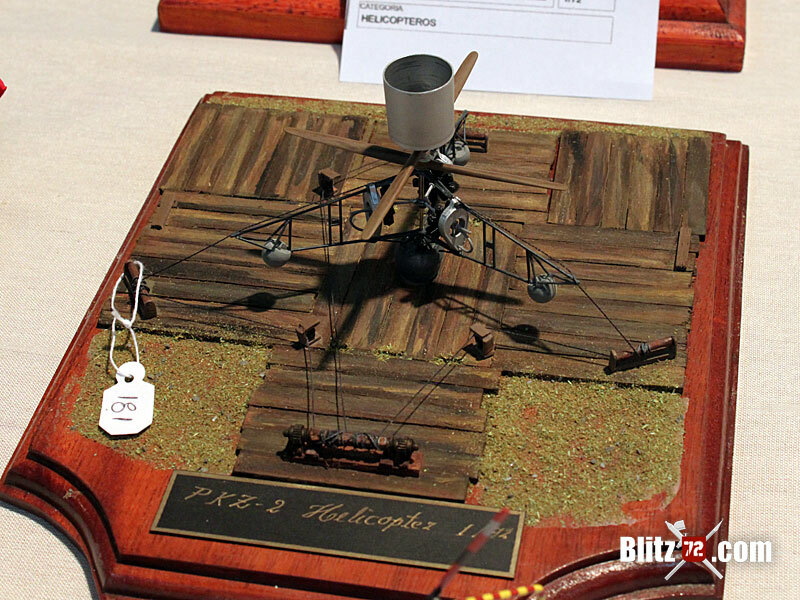 Hats off to Mr. Bellomo for an outstanding execution. 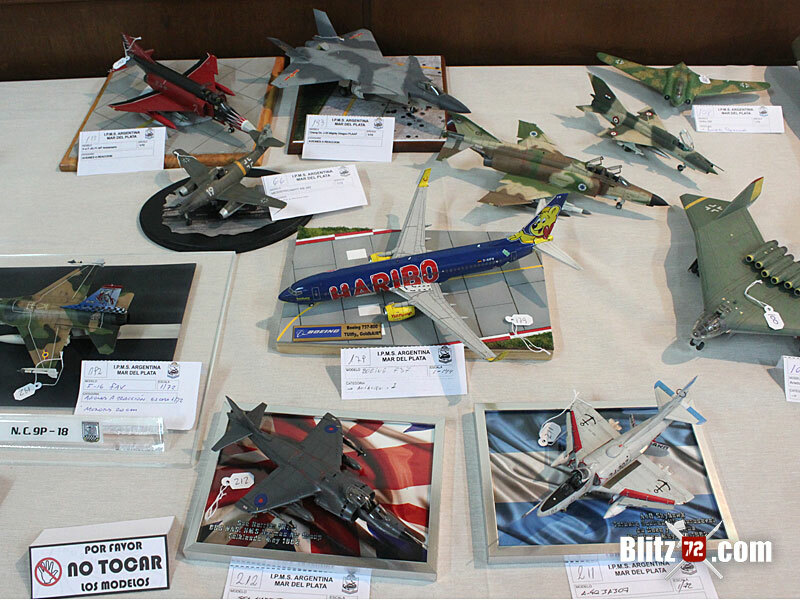 Well, those are my favorites, I´ll let you be the judge of the rest of the models. 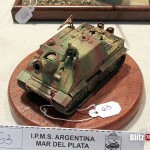 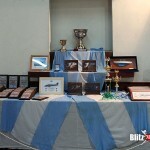 From my end all that I have left to say is congratulations IPMS Argentina, Mar del Plata for a job well done!! !.